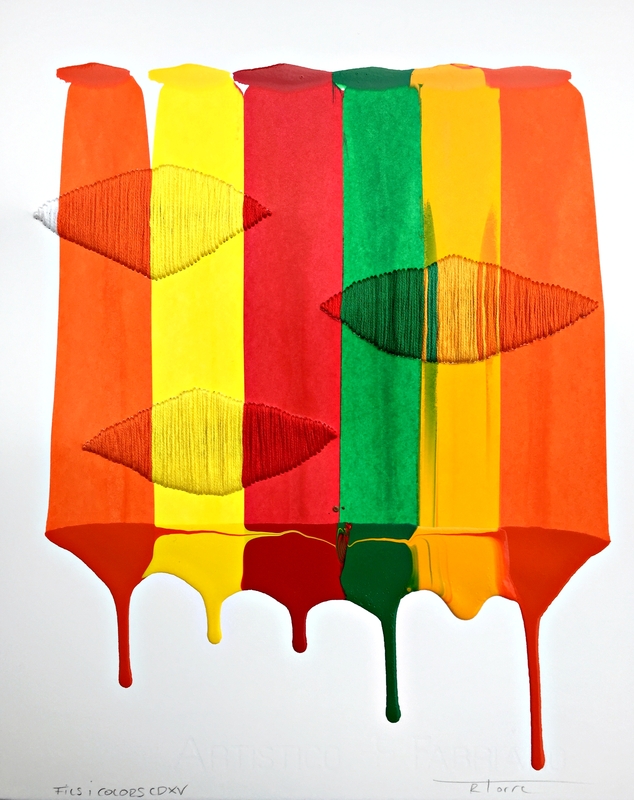 *PRESENTING NEW WORKS FROM FILS I COLORS SERIES AT ART ON PAPER. MARCH 7-10TH, PIER 36, NEW YORK. *BACK TO THE OTHER ART FAIR - BROOKLYN. VISIT ME AT STAND 102. *Saatchi Art, a leading online art gallery, partnered with MINI and Little Black Pearl to help highlight the initiative by creating a limited collection of artist-designed mobile libraries that will be showcased during The Other Art Fair at the MANA Contemporary Chicagogallery from September 28 – 30. 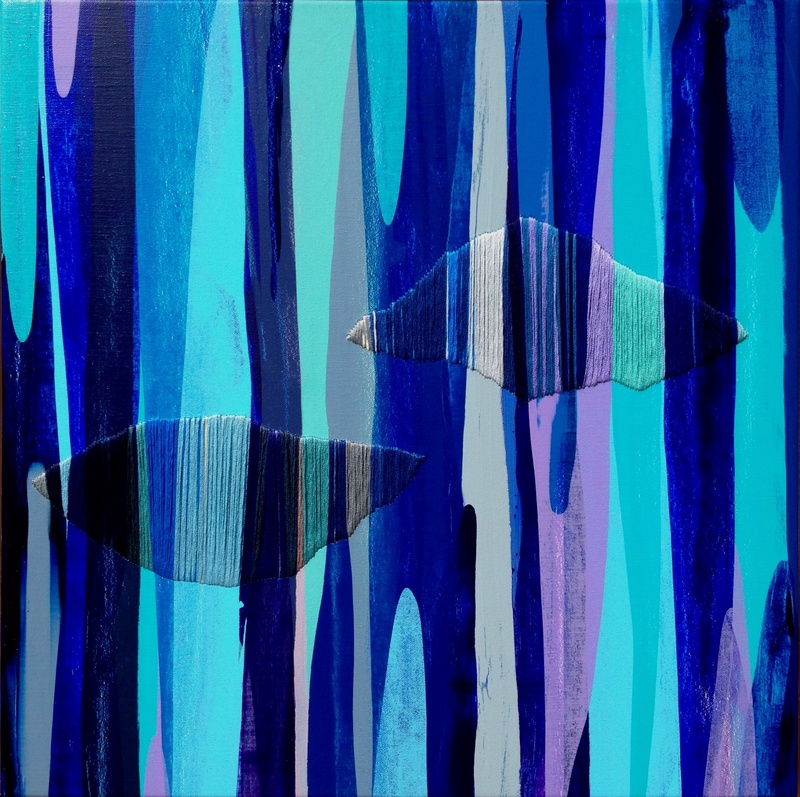 This special collection will be available for purchase both at The Other Art Fair and on SaatchiArt.com. 100% of the proceeds will support Little Black Pearl’s mission of furthering art education on the South Side of Chicago. 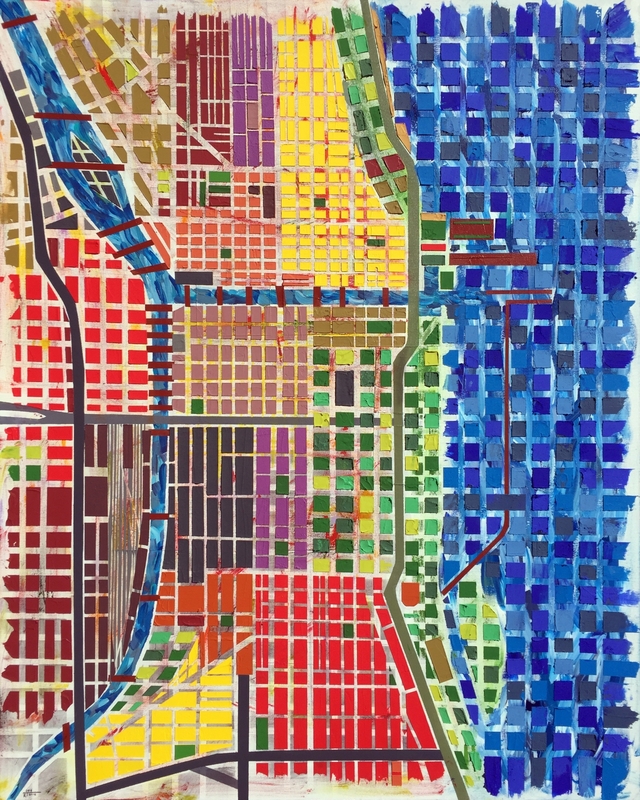 Artists from Chicago to Nigeria are featured in the collection and include: Eric Stefanski, William LaChance, Raúl de la Torre, Jonas Fisch, Paul Richard, Bryan Valenzuela, Ruben Aguirre, Sarah Edwards, Barry Johnson, Dennis Osadebe, Liz Mares. *FINALIST OF BOMBAY SAPPHIRE ARTISAN SERIES. 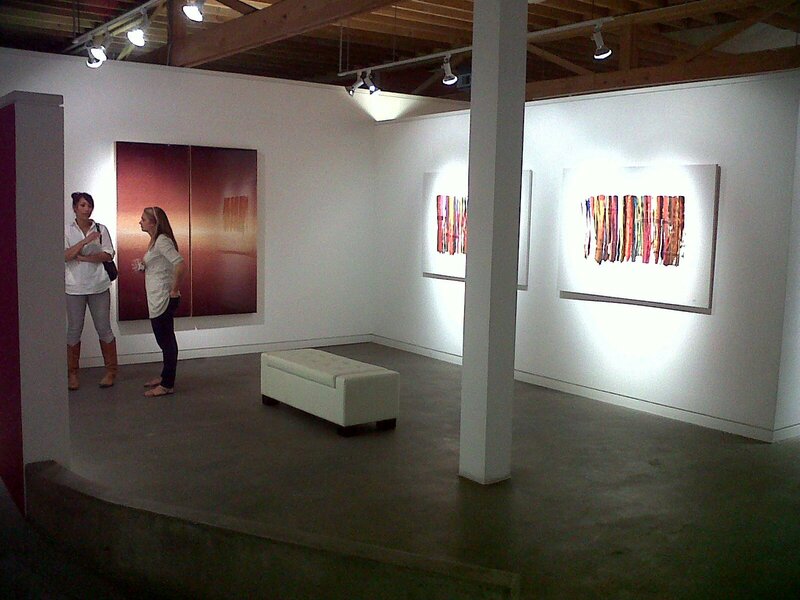 SHOW AT BUILDING BRIDGES GALLERY - SANTA MONICA. OCTOBER 3-22, 2018. 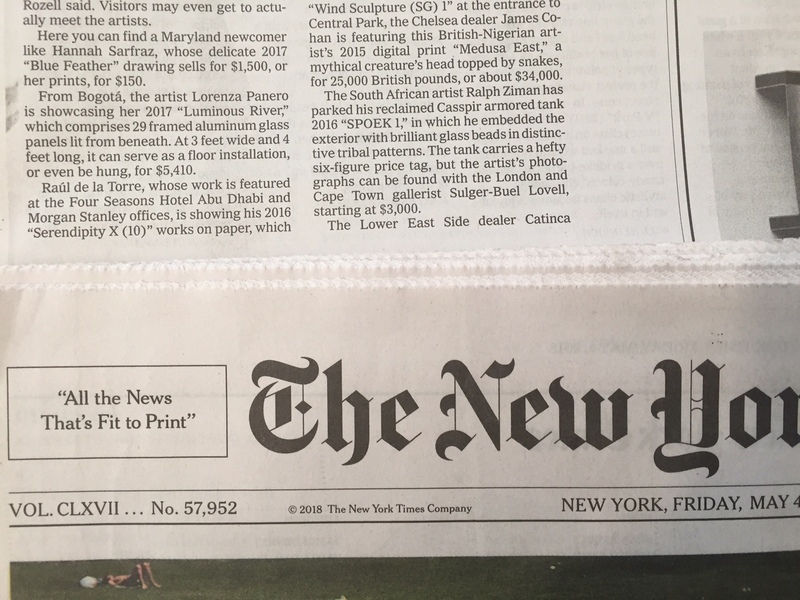 *FILS I COLORS CCCLVI FEATURED ON THE NEW YORK TIMES - FRIDAY MAY 4TH 2018. 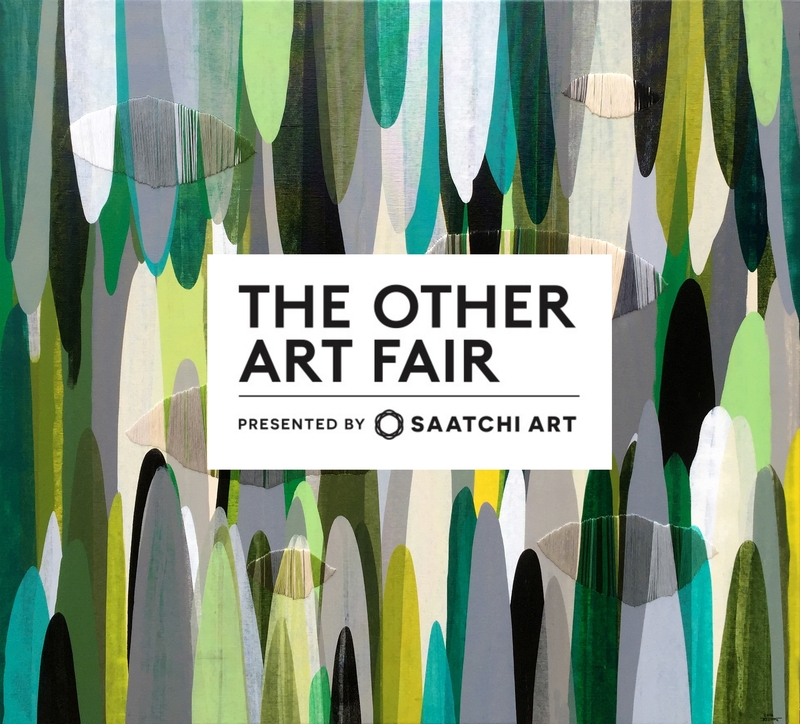 *PRESENTING NEW WORKS AT THE OTHER ART FAIR - BROOKLYN EXPO CENTER - MAY 3-6 2018. BOOTH 61. BROOKLYN, NY. *CONSTRUCTED. OPENING THURSDAY, FEBRUARY 1ST, 2018. 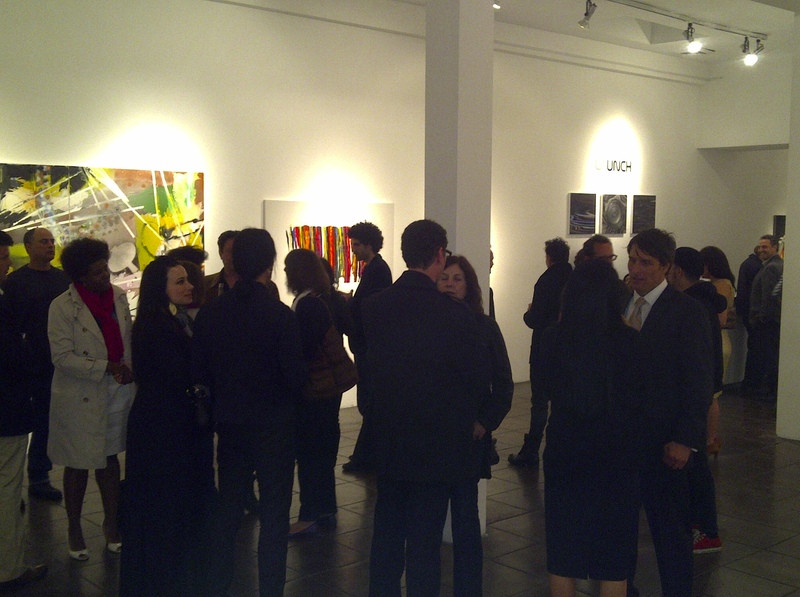 SAATCHI ART, 1655 26TH ST, SANTA MONICA, CA 90404. *IT'S A COLORFUL WORLD, SHOW AT DENVER INTERNATIONAL AIRPORT. DECEMBER 2017- MARCH 2018. POEMES LVIII and POEMES LIX. Mixed media on canvas. 48x48". 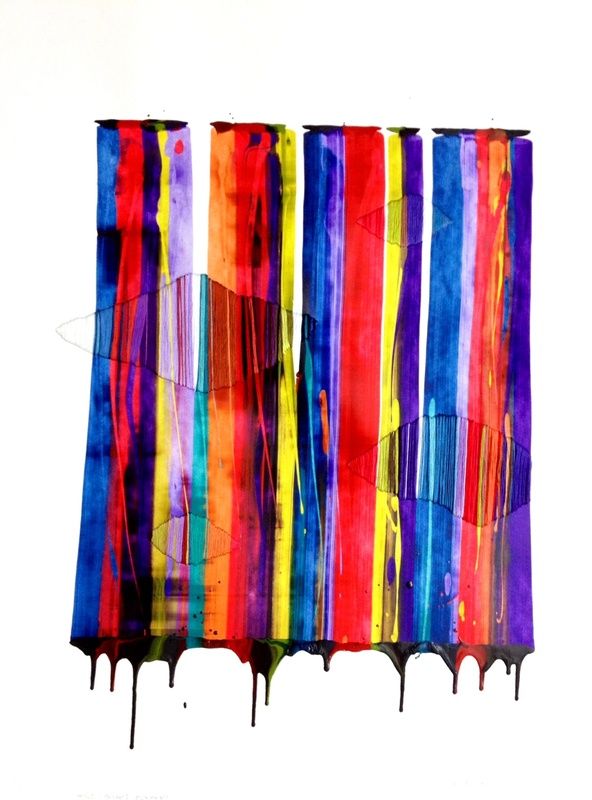 *NEW WORKS AT BOSTON ART INC.
*COMMISSION WORK FOR A SAN FRANCISCO CLIENT. CITIES, SAN FRANCISCO I. MIXED MEDIA ON CANVAS: ACRYLIC, PIGMENT, CHARCOAL, CRAYON, MOLDING PASTE. 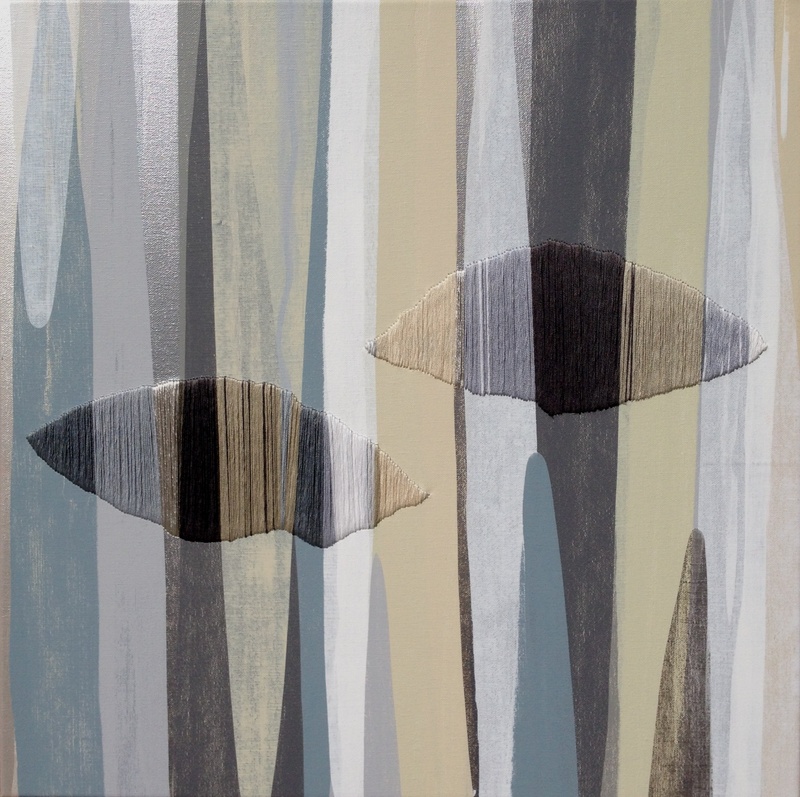 48x48"
*NEW POEMES. POEMES LIV. 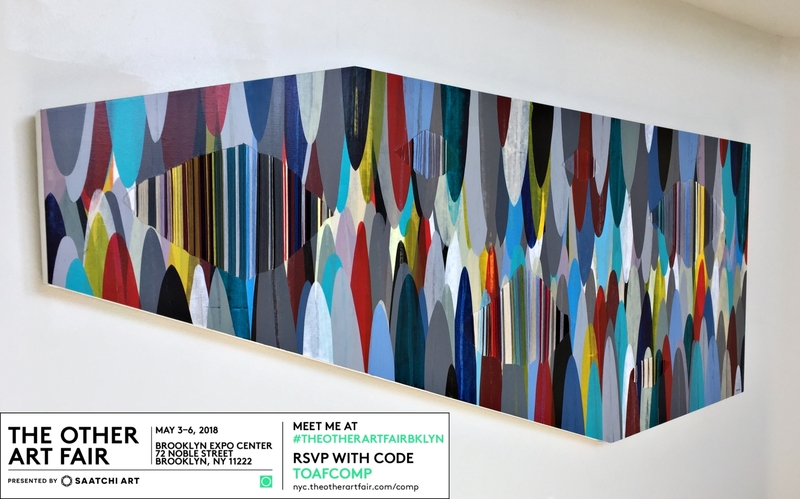 2 PANELS 34X45"
*Los Angeles Art Association & the City of West Hollywood are proud to announce OUT THERE, a very special exhibition celebrating the LGBT experience during West Hollywood's Pride Month festivities. In its 9th year, OUT THERE is a key feature of Pride weekend, an annual event that attracts nearly half a million visitors to West Hollywood. 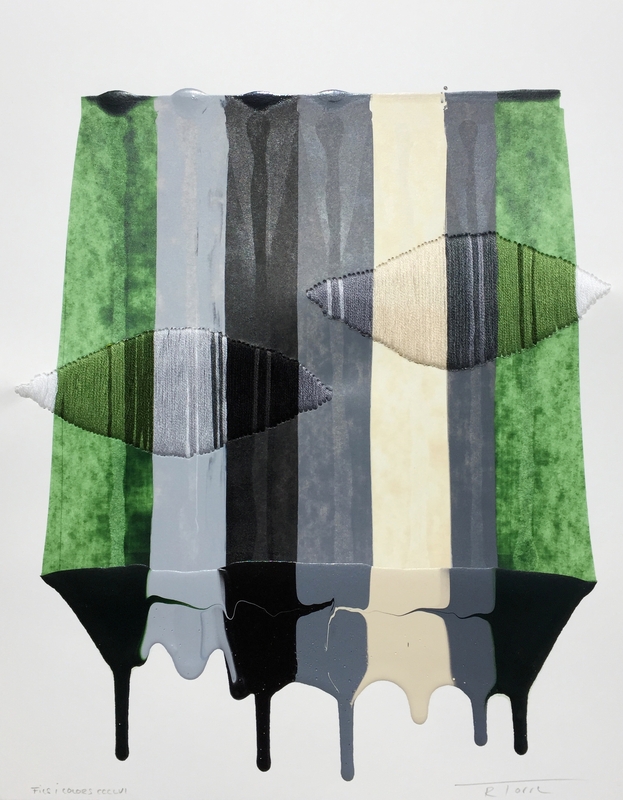 Out There was juried by William Escalera and Francisco George and opens at GALLERY 825 on Friday, June 10 and runs through June 17, 2016. 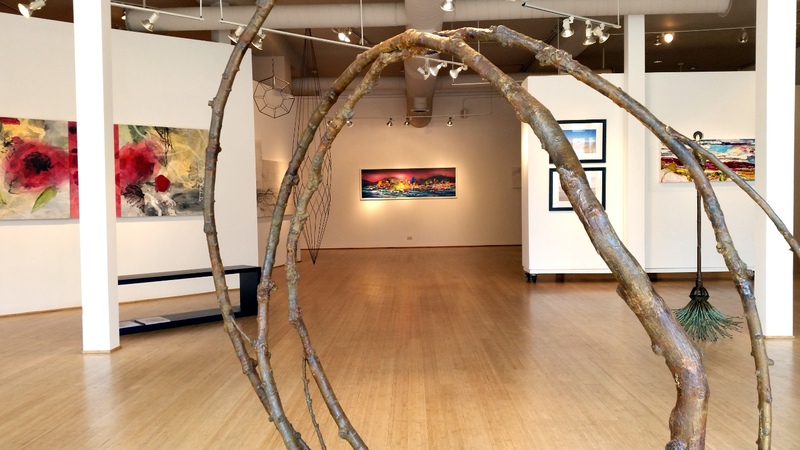 When: Reception - Friday, June 10 2016, 6 to 9p. 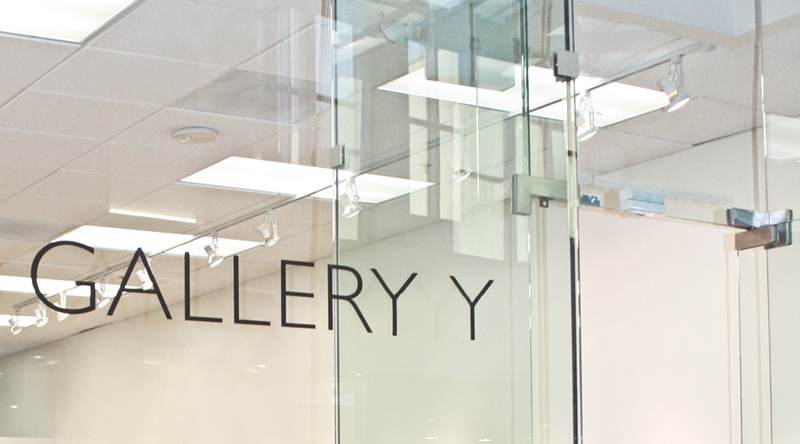 Where: Gallery 825, 825 N. La Cienega Boulevard, Los Angeles, CA 90069. ACRYLIC, PIGMENT, MOLDING PASTE, CHARCOAL, CRAYON. 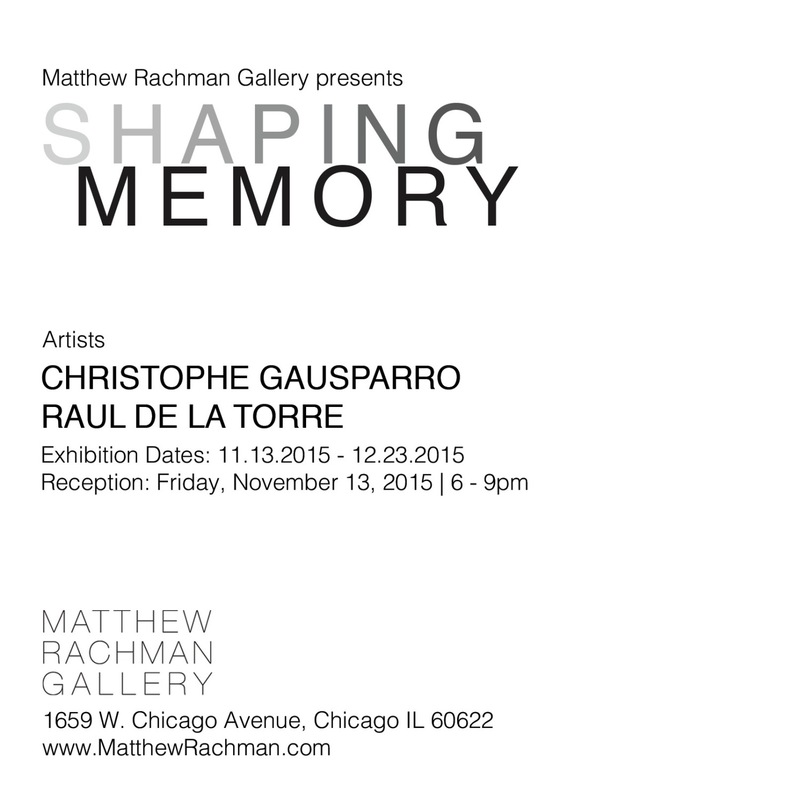 48"X60"
*NOVEMBER 13TH 2015, OPENING "SHAPING MEMORY" AT MATTHEW RACHMAN GALLERY - CHICAGO. *Participating in UNICEF NEXT GEN ART PARTY. FEBRUARY SATURDAY 28TH 5 TO 9 PM. *PRESENTING 7 NEW WORKS. 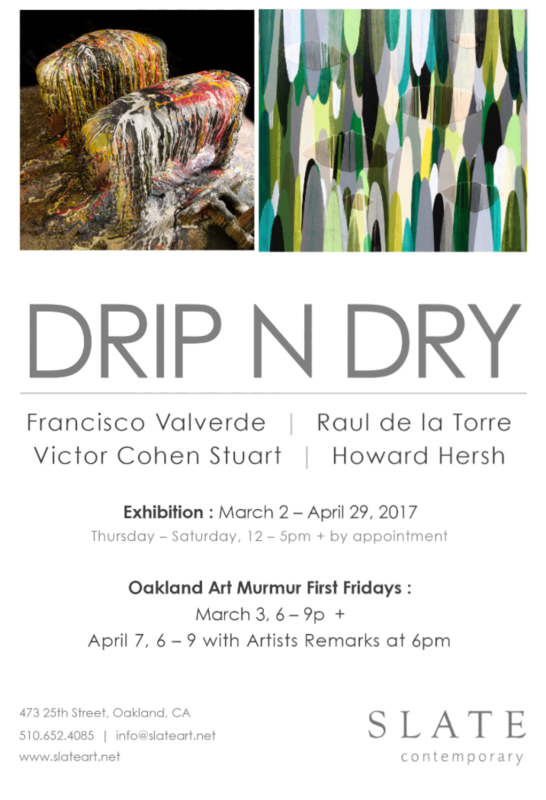 GROUP SHOW SAMPLED AT OFF RAMP GALLERY IN PASADENA. FEBRUARY 22ND MARCH 22ND 2015. 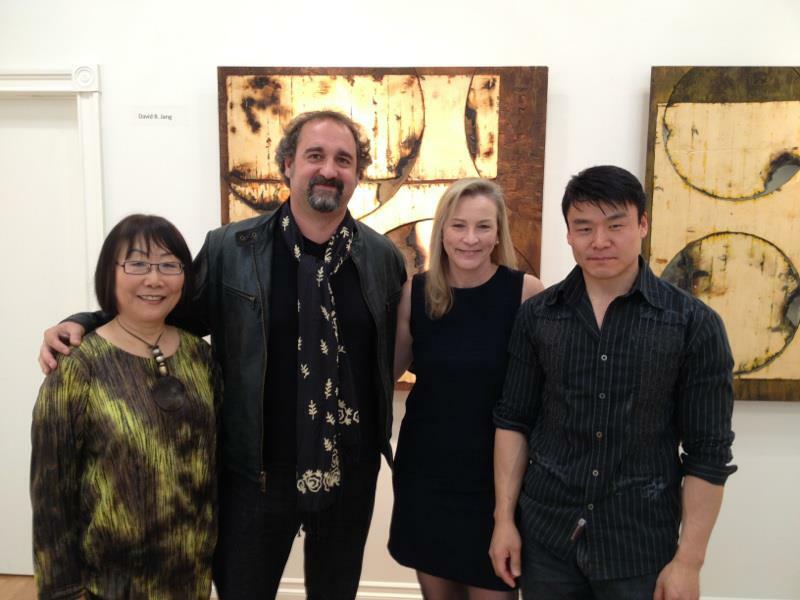 MELANIE CICCONE, RAUL DE LA TORRE, CLIFFORD EVERLY, SUSAN FELDMAN, NICHOLETTE KOMINOS, MEG MADISON, THINH NGUYEN, ECHIKO OHIRA, ANDREW K. THOMPSON, JOAN WEINZETTLE. 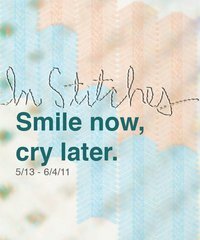 CURATED BY ANITA BUNN. *FIVE NEW POEMES TRAVELING SOON TO AUSTRALIA. 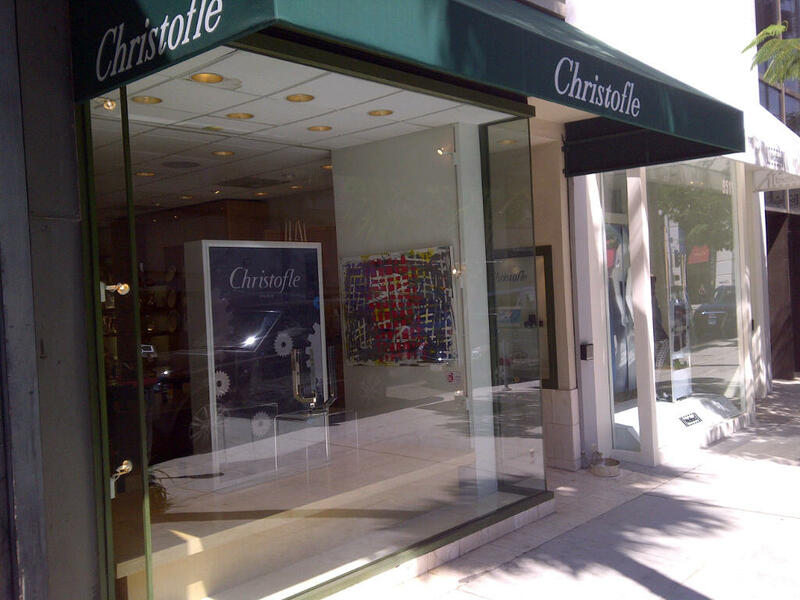 *PETROSSIAN WEST HOLLYWOOD HOLIDAY PARTY. DECEMBER 14TH 6-8PM. 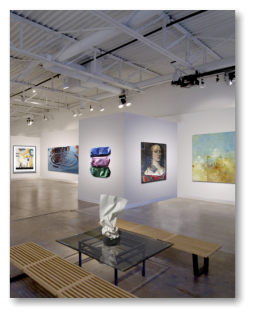 *SOLO SHOW AT MICHAEL WARREN CONTEMPORARY- DENVER. OPENING OCTOBER 14TH. *FREE FORMS GROUP SHOW. LIVESTYLE DESIGN STUDIO AND FRESH PAINT. OPENING SATURDAY JULY 12TH, 6 TO 9 PM. 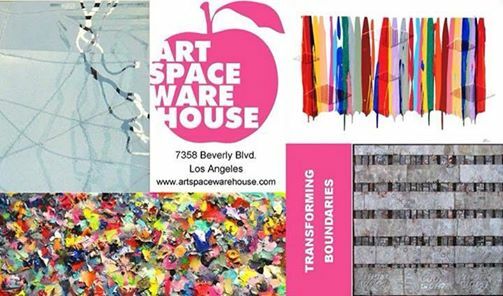 *TRANSFORMING BOUNDARIES SHOW ATE ARTSPACE WAREHOUSE. 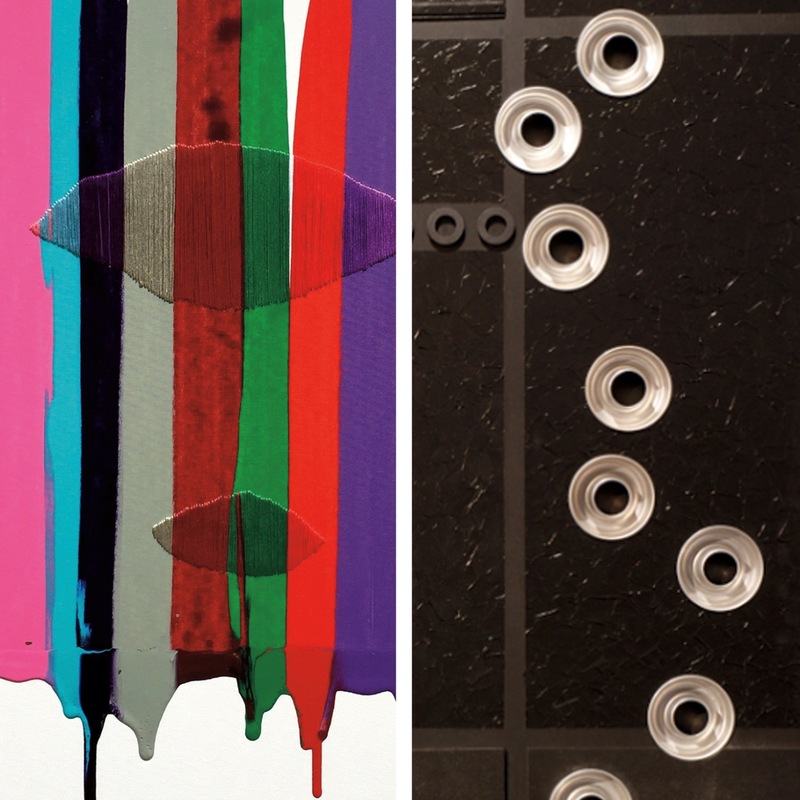 WORKS BY STEVEN M. O'CONNOR, DEBORAH LYNN IRMAS, DAVID JANG AND RAUL DE LA TORRE. OPENING RECEPTION SATURDAY JUNE 14TH 5:30-8:30. 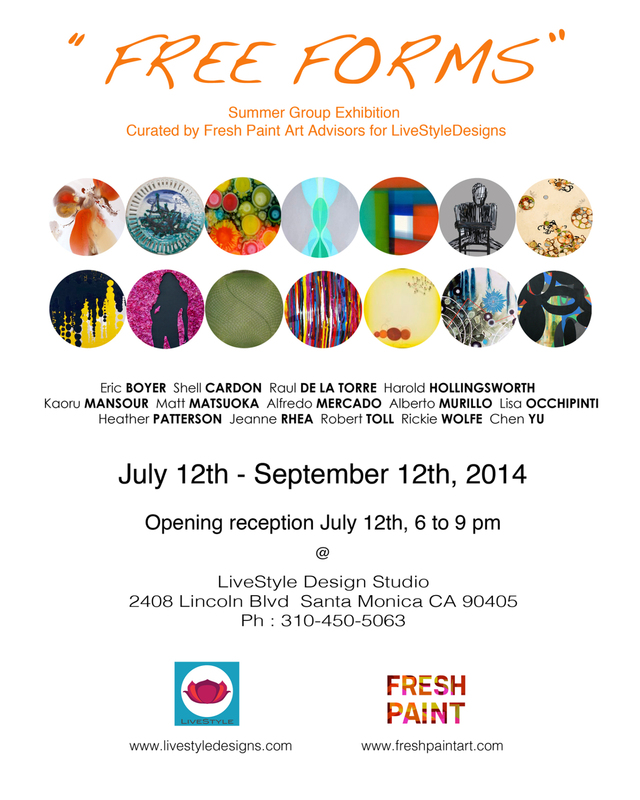 *SUMMER SOLSTICE GROUP SHOW AT FRESH PAINT, CULVER CITY. 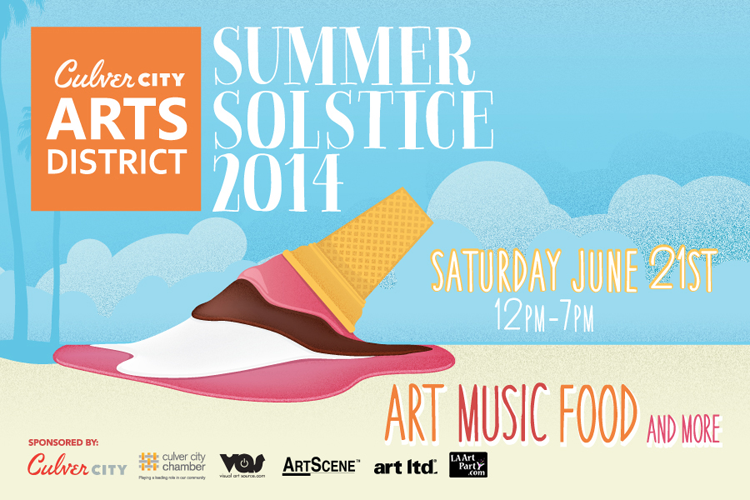 OPENING RECEPTION SATURDAY JUNE 21ST. 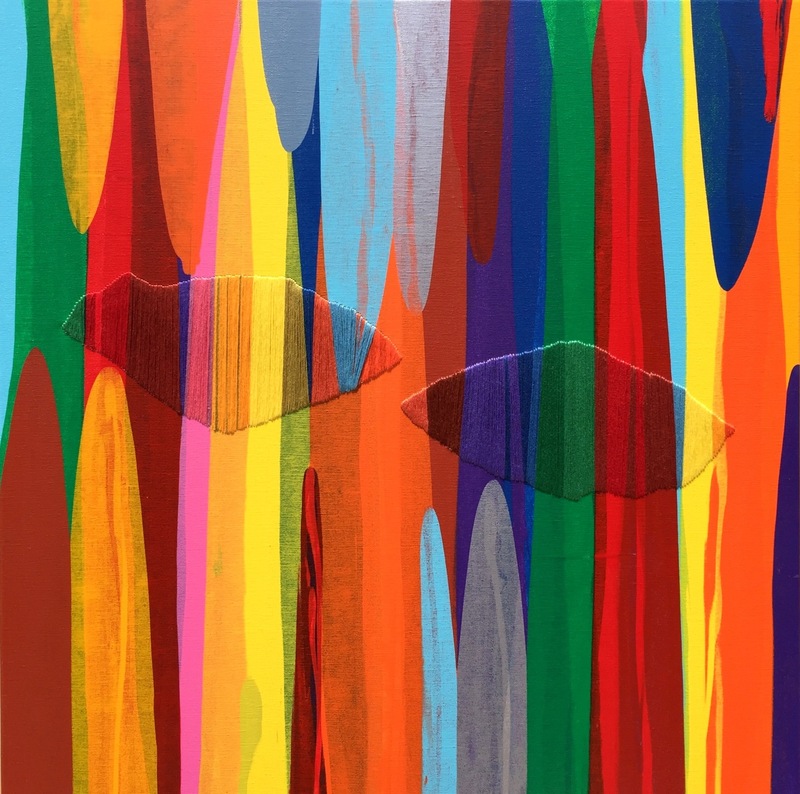 Los Angeles Art Association & the City of West Hollywood are proud to announce the 7th annual Out There art exhibition:Out There: I Do, a very special exhibit celebrating marriage equality during West Hollywood's Pride Month festivities. 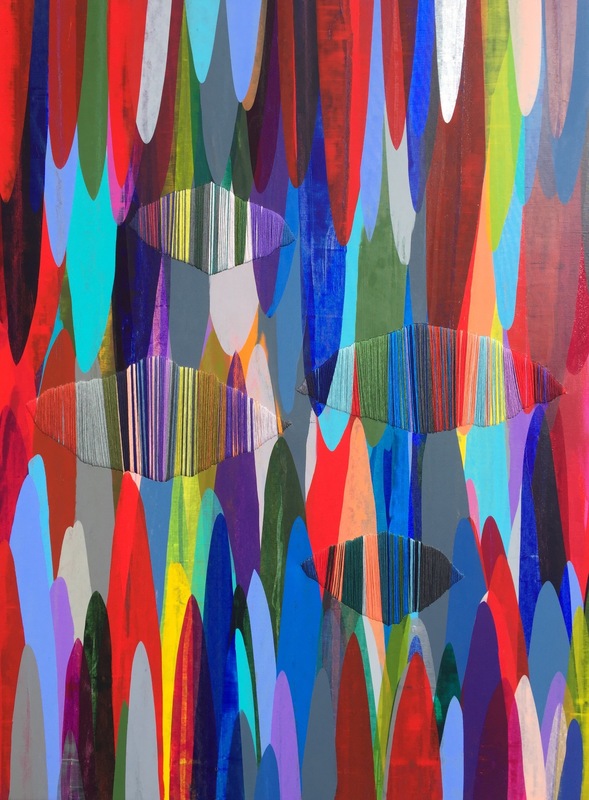 Out There: I Do is juried by noted collectors Francisco George and William Escalera and celebrates and acknowledges the special opportunities that West Hollywood provides for creative individuals. 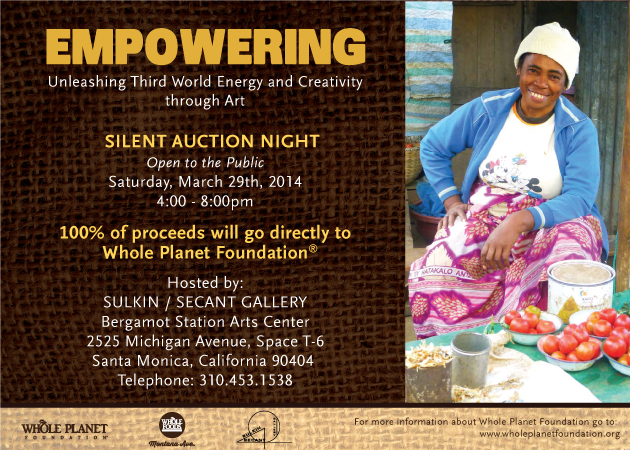 *Participating on the Silent Auction/Fundraising for the Whole Planet Foundation. 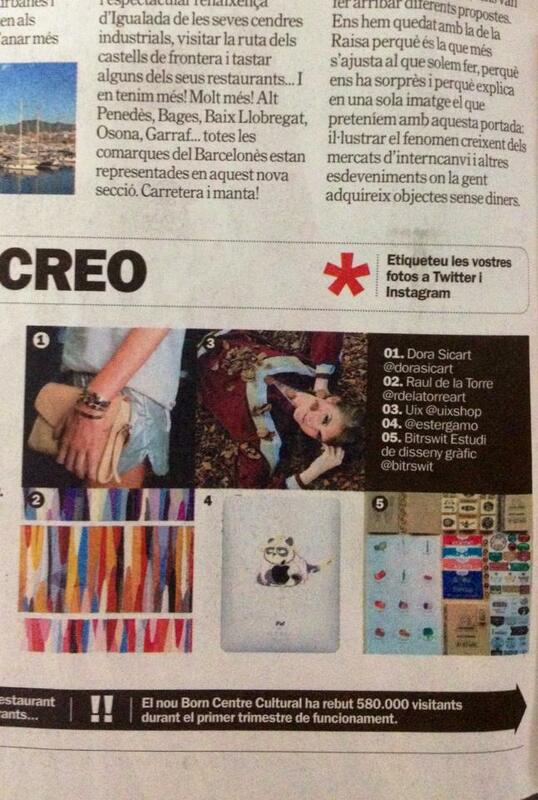 *The work, THREE LETTERS, THREE WORDS, THREE POEMS DESIGN MY LIFE, has been featured on TIME OUT BARCELONA (January 2014). 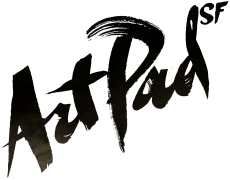 *"POEMS AND AFFIRMATIONS" AT FRESH PAINT ART GALLERY. FEATURING JOHN RANDALL NELSON AND RAUL DE LA TORRE. OPENING RECEPTION SATURDAY NOVEMBER 2nd FROM 6 TO 8 PM. *LANGEWEILLE - MICHAEL HAYDEN, RAUL DE LA TORRE, SANDRA LOW, CAMILLA BAREISS. CURATED BY NIKE SCHROEDER. AUGUST 10TH 2013, 7 TO 9 PM AT SNP GALLERY, ATWATER VILLAGE, LOS ANGELES. *GEFLÜSTER - 2013 July Kamikaze Exhibits - POST, Downtown Los Angeles, July 6th 2013, 7-9 pm. 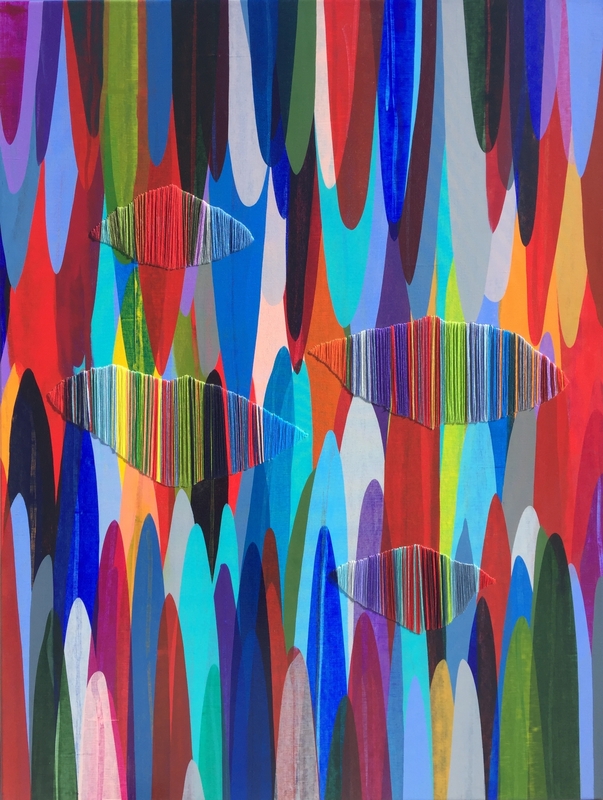 *Los Angeles Art Association (LAAA) and the City of West Hollywood are proud to announce the sixth annual Out There exhibition celebrating the LGBT experience during West Hollywood's Pride Month festivities. This effort commemorates West Hollywood's lasting commitment to raising public awareness and appreciation of the talents and abilities of all artists. 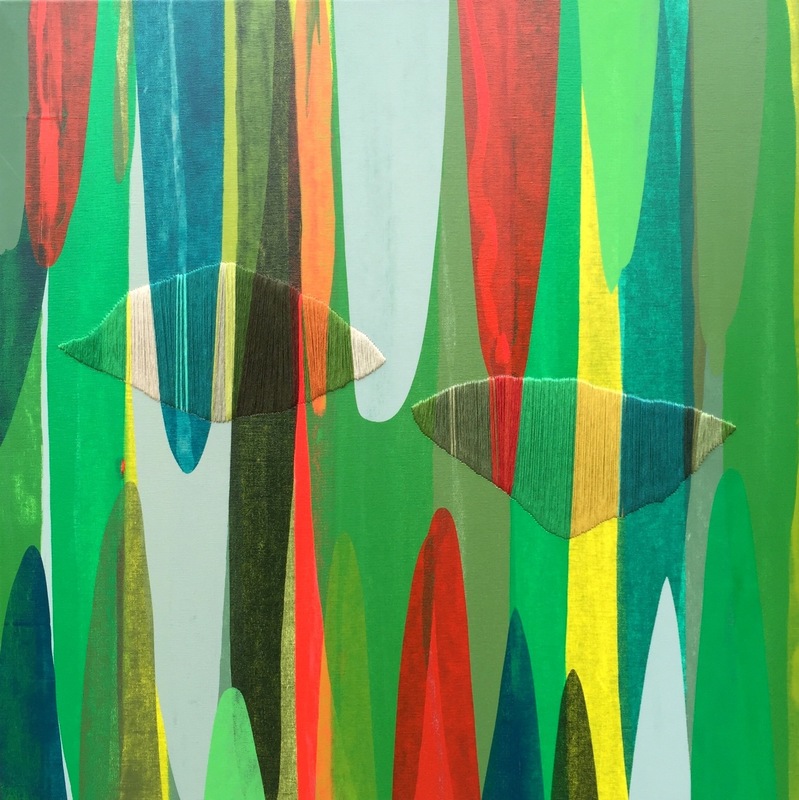 The Out There exhibition opening at Gallery 825 on June 7 is an all-media exhibition juried by noted collectors Francisco George and William Escalera. O...ut There celebrates and acknowledges the special opportunities that West Hollywood provides for creative individuals. Out There is made possible by the City of West Hollywood Arts Grant Program and the Arts and Cultural Affairs Commission. 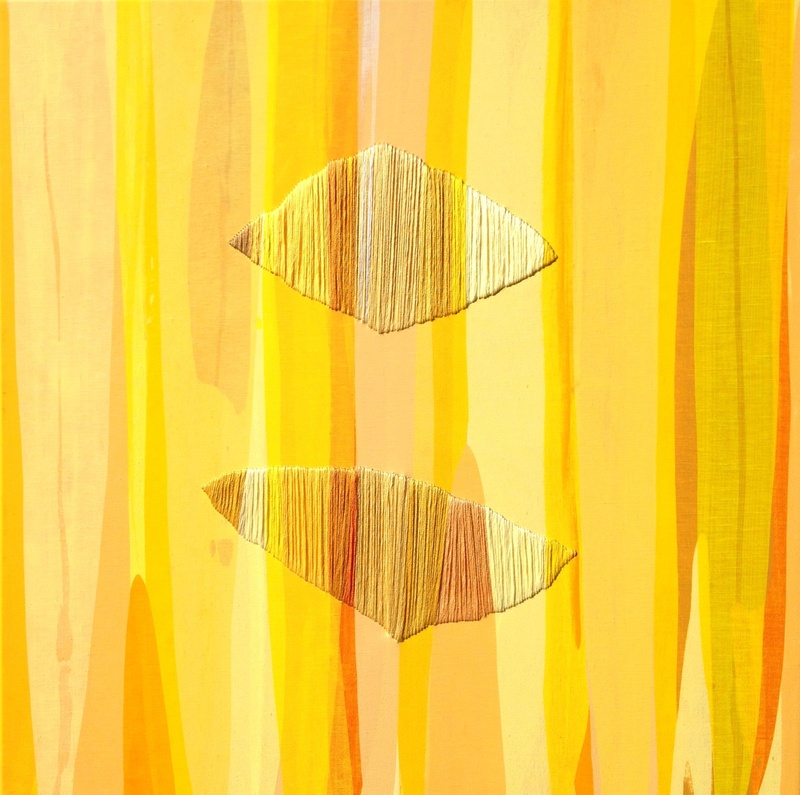 Out There runs June 7-14 at Gallery 825 (with special Sunday hours on June 9 after the Pride Parade). 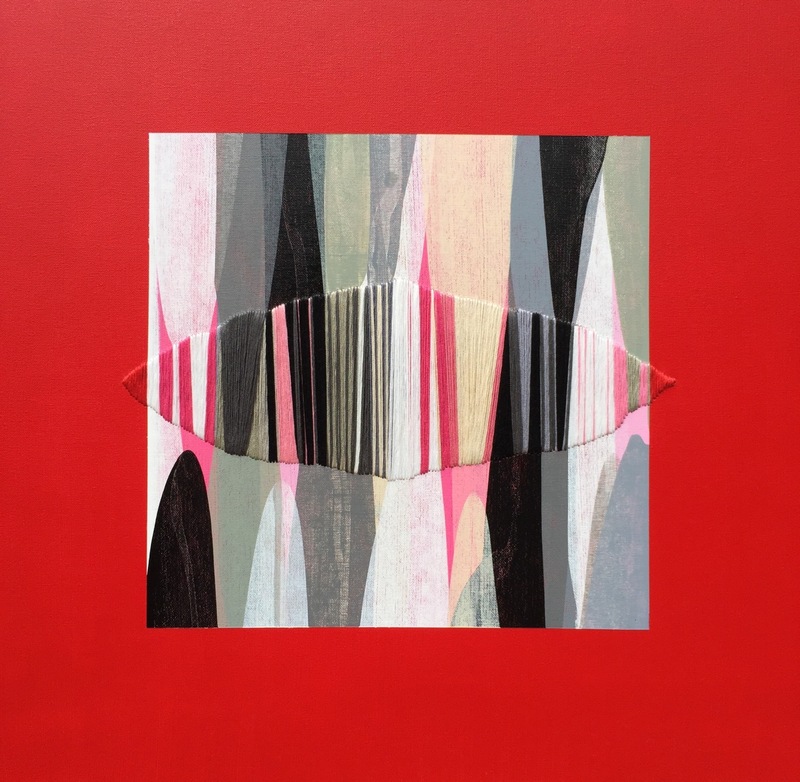 Featured Artists: AMEN, James Bently, Kelly Berg, Douglas C. Bloom, Erin Bobo, Nicholas Bonamy, Jarred Cairns, Miri Chais, Michael Chearney, Ching Ching Cheng, Richard Chow, Katie Collins, Nicholas Coroneos, Raul de La Torre, Lore Eckelberry, Gabor Ekecs, Bryan Trent Fair, Natalie Marie Franco, Tina Frugoli, Chie Fujii, Steven Fujimoto, Kimberly Gibson, Lushe Hunanyan, Paula Izydorek, Cindy Jackson, Carla Jerome, Motoko Kamada, Colleen M. Kelly, Isabella Kelly-Ramirez, June Kim, Linda Kunik, Campbell Laird, Echo Lew, John Luckett, Steve Moses, Michael Ochinero, Billy Pacak, Osceola Refetoff, Launa D. Romoff, Ann Marie Rousseau, Larisa Safaryan, Andrea Schoening, Maxine Smith, Lisa C. Soto, Charles Starr, Phil Tarley, Elizabeth Tobias, Vincent Tomczyk, Ariel Vargassal, Frank Ventrola, Hung Viet Nguyen, Joel Woodard, Elyse Wyman, Chie Yamayoshi and Ivory Yeunmi Lee. 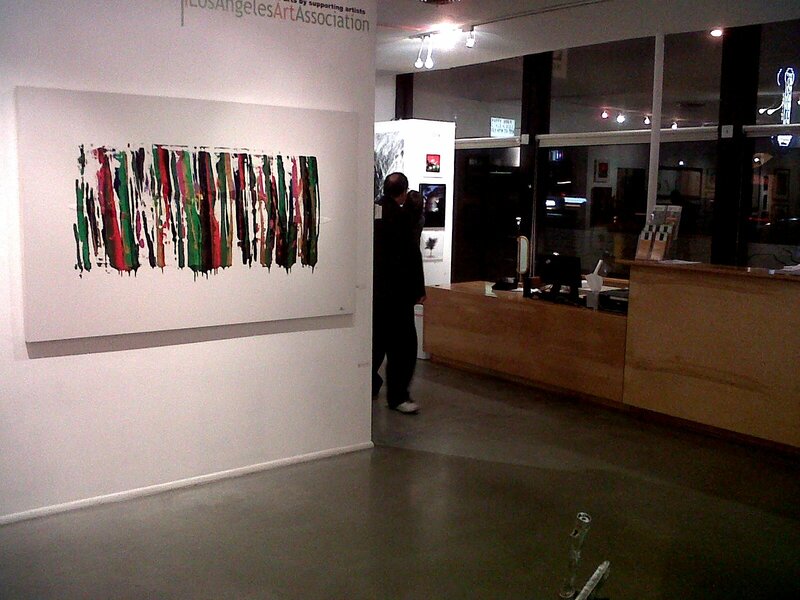 *Represented by Craighead Green Gallery in Dallas-Texas. 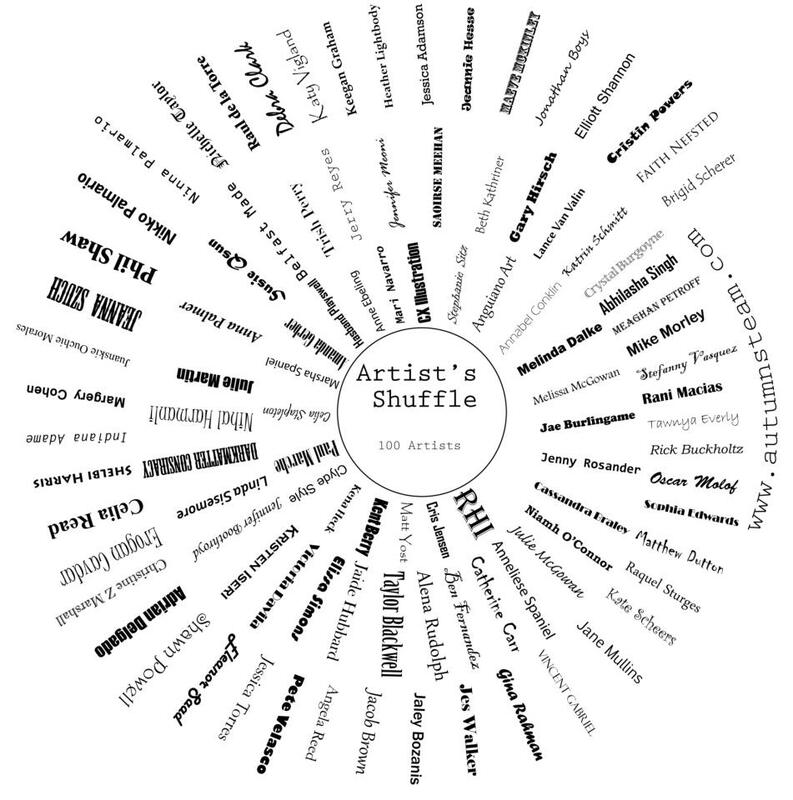 *Taking part in the International Project ARTIST'S SHUFFLE with 100 artist from around the world. 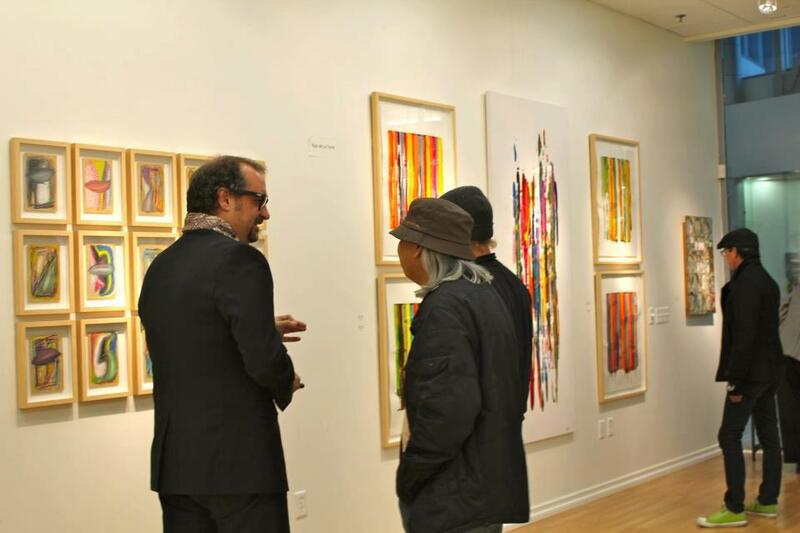 *ARTIST TALK AT GALLERY Y - MARCH 2nd, 2013. 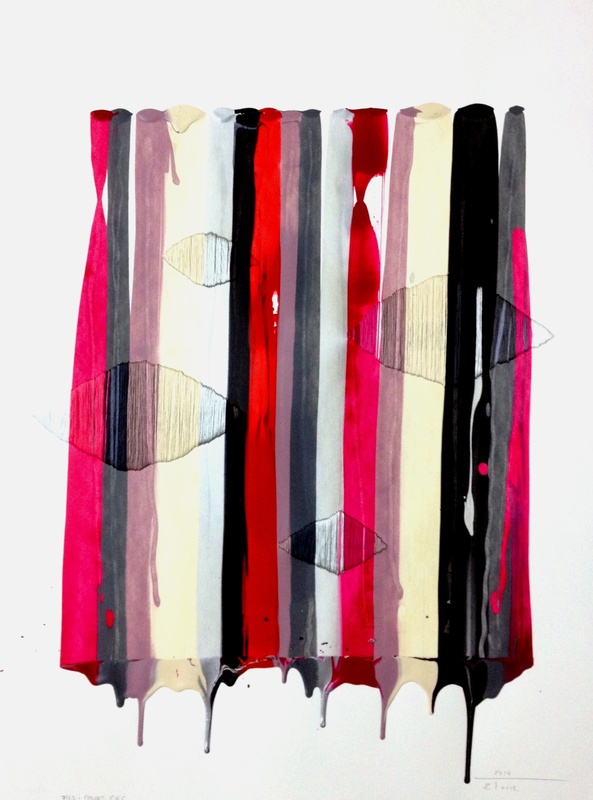 Collaboration of Circles & Lines artists: Barbara Kolo, David B Jang and Raul de la Torre. Bluprint Green 386 North Palm Canyon Palm Springs, CA 92262. 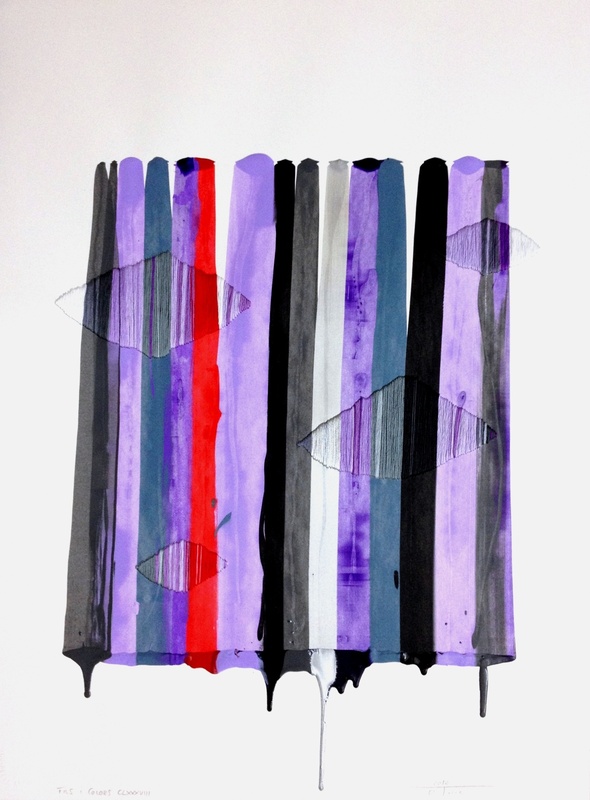 New works by Raul de la Torre, Nathan Forrest Stinson, Annette Pajaanen and E. Van Horn. 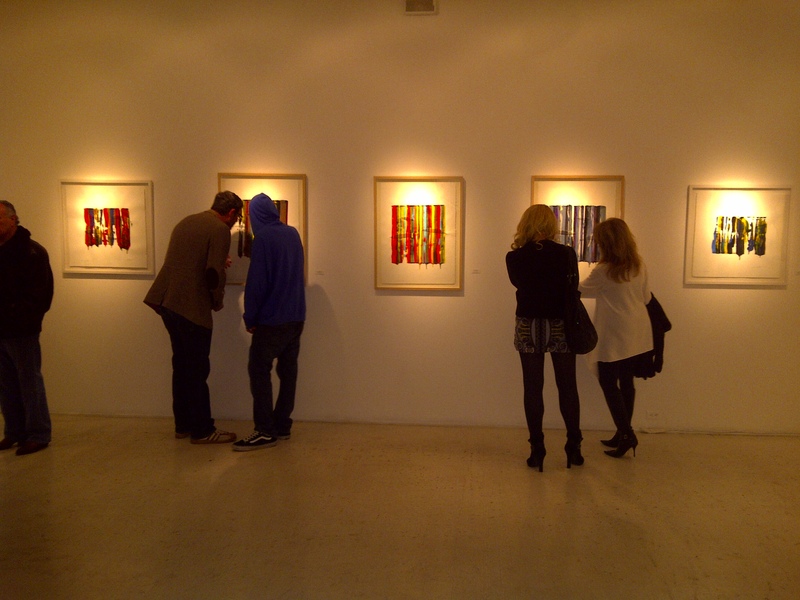 *The Opening at Gallery Y - Los Angeles was last Saturday January 12th 2013. 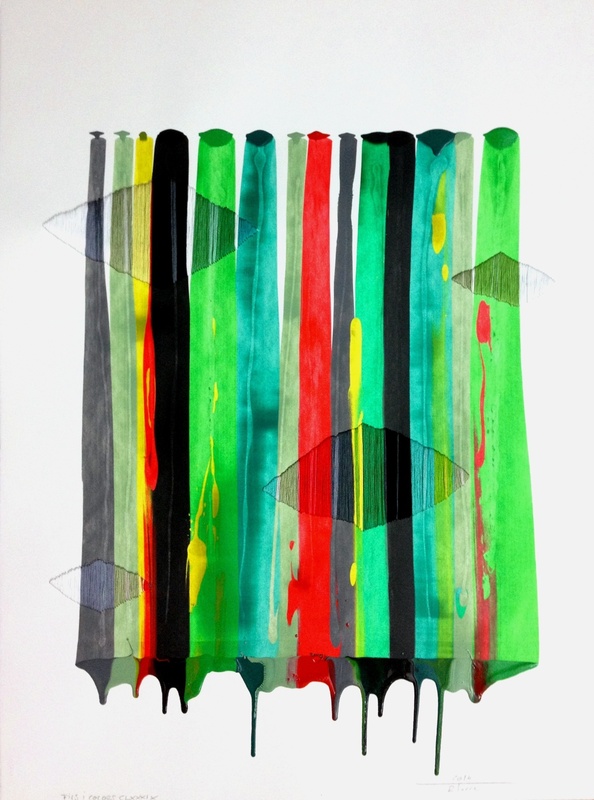 Opening Reception: Saturday, January 12, 2013, 5-7 p.m.
Gallery Y is pleased to present the first show of the New Year, Collaboration of Circles & Lines with three prominent local artists, David Jang, Barbara Kolo and Raul de La Torre. 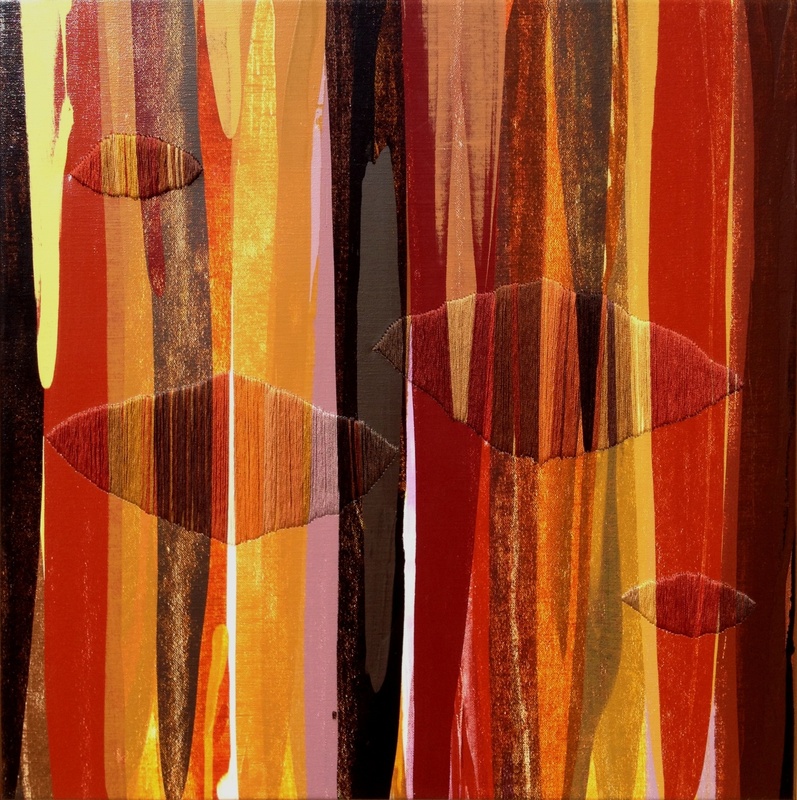 Inspired by movements of circles and lines offered in nature and the surrounding environment, they transform those images by using their own textures and techniques. 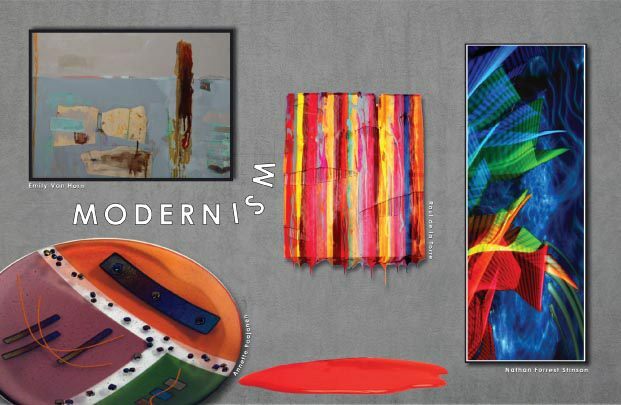 Each artist explores his/her abstract ideas on color, light and material with circles and lines. David B Jang graduated from the College of Visual Arts, St. Paul, Min. 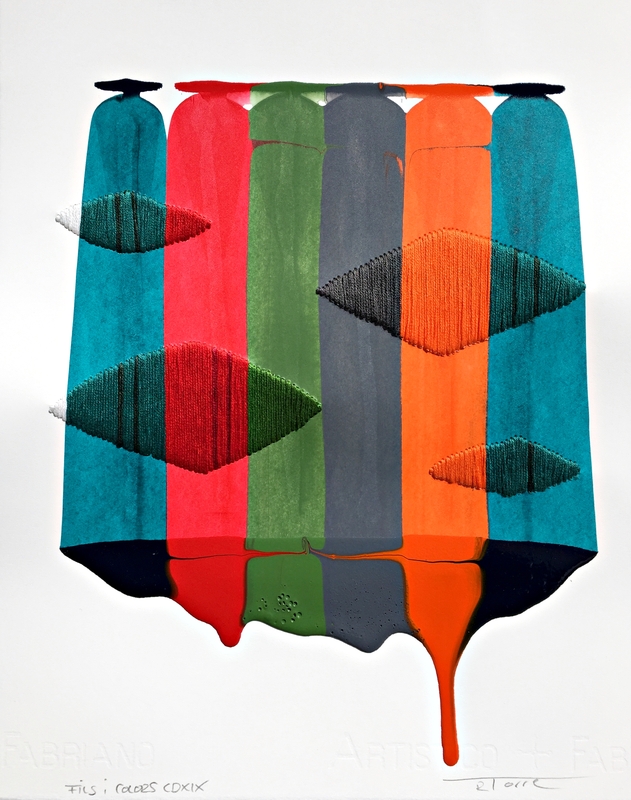 His work utilizes materials and object-making to articulate the countervailing forces inherent in the everyday life. His technique can be described as an exacting, fanciful, or even obsessive re-creation of common materials. 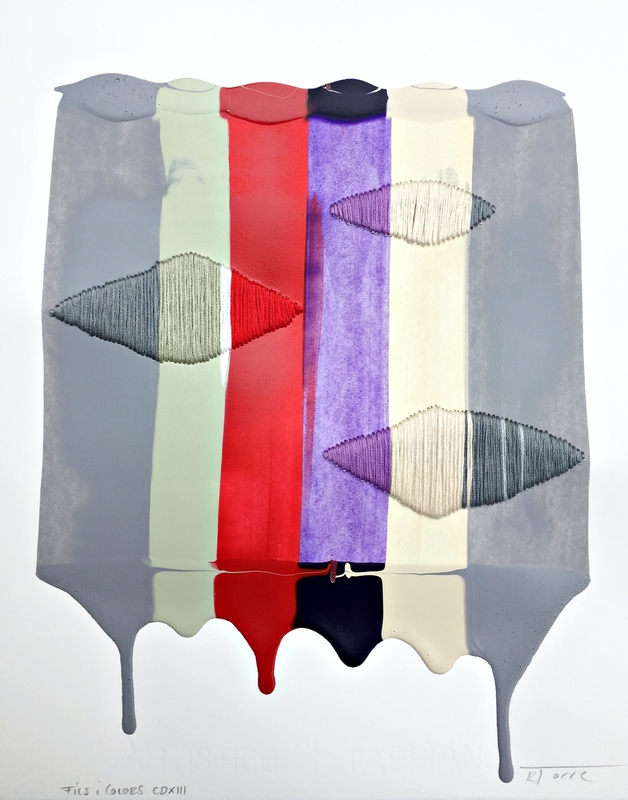 He deconstructs, re-programs and re-constitutes industrial and commercial cast-offs to reveal new relationships between the object and the viewer. 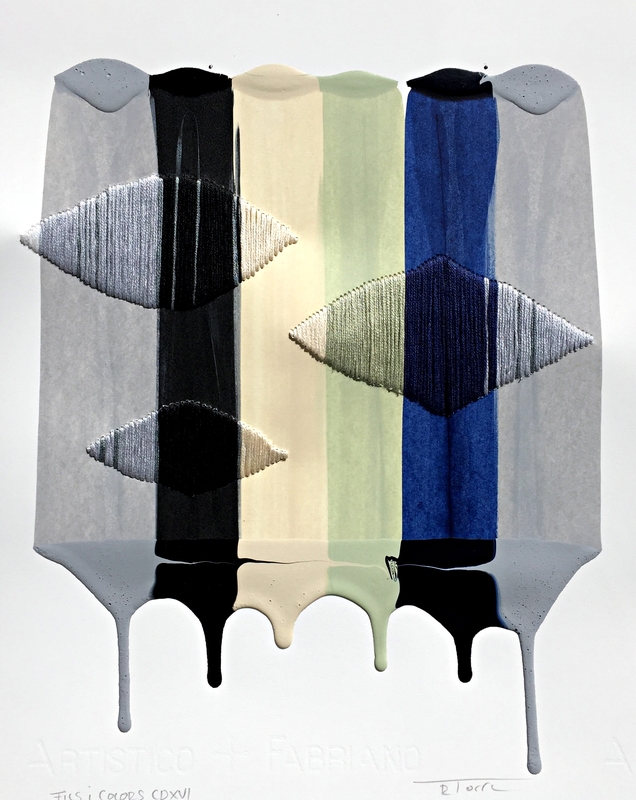 Barbara Kolo was born and educated in New York. She received her Bachelor of Fine Arts from SVA. 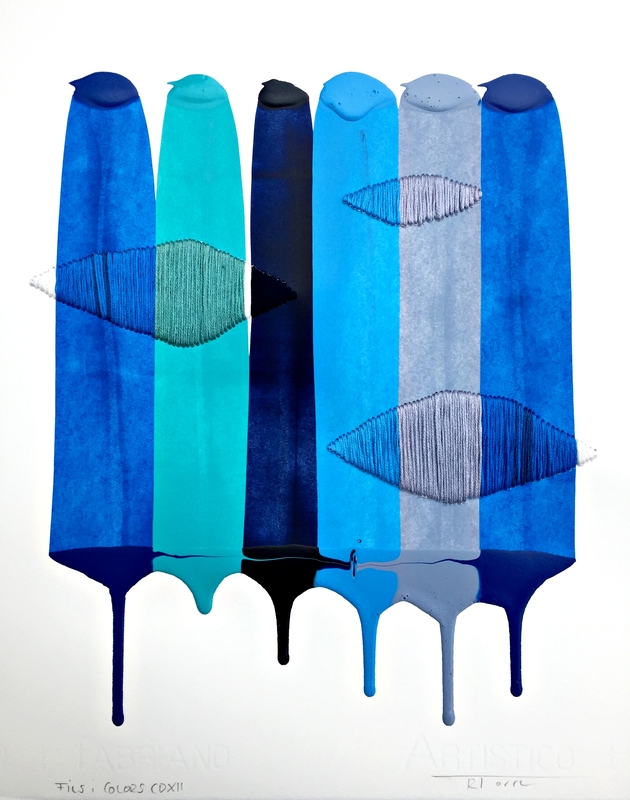 She moved to Paris, France in 2000 and worked in La Bastille, which allowed her to participate in “Genie de la Bastille,” which is a similar to the Venice Art Walk in California. Her paintings were part of group exhibitions in France including one at the Palais des Art in Marseilles. 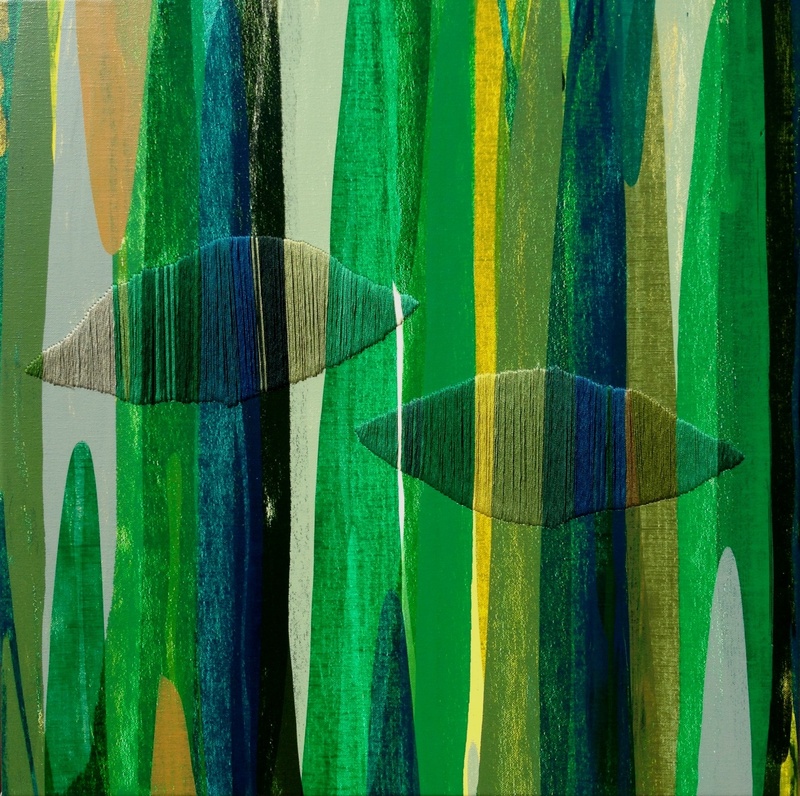 Barbara’s paintings are abstractions of nature. 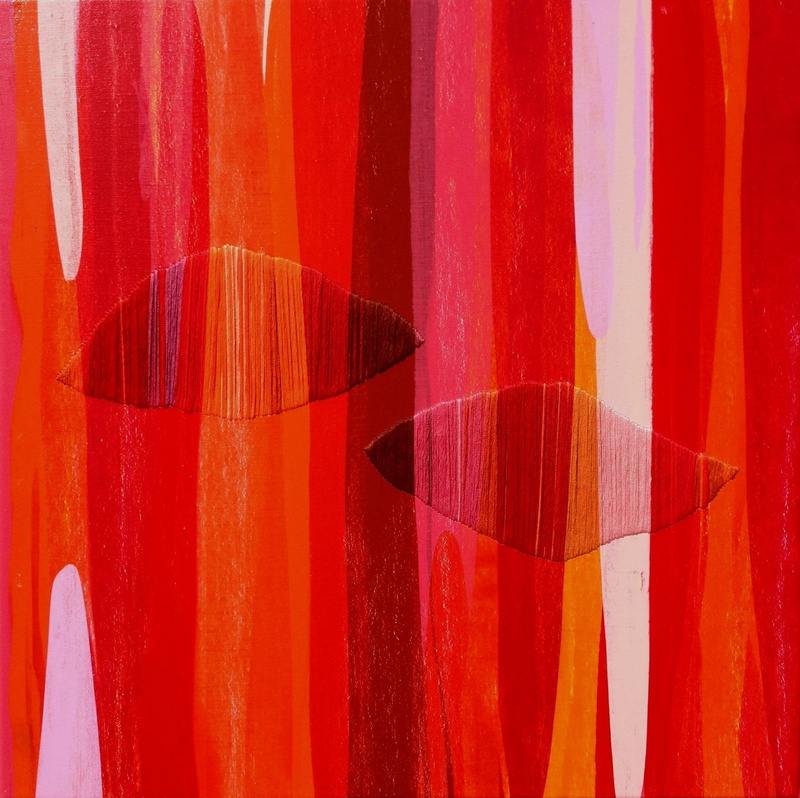 She is influenced by colors, light and movement through dots and drips of paint that form her images. 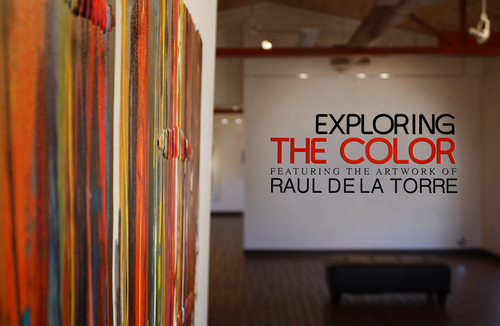 Raul de La Torre was born in Barcelona, Catalunya and attended the Massana Art School. His art have been shown in galleries of Europe and United States. 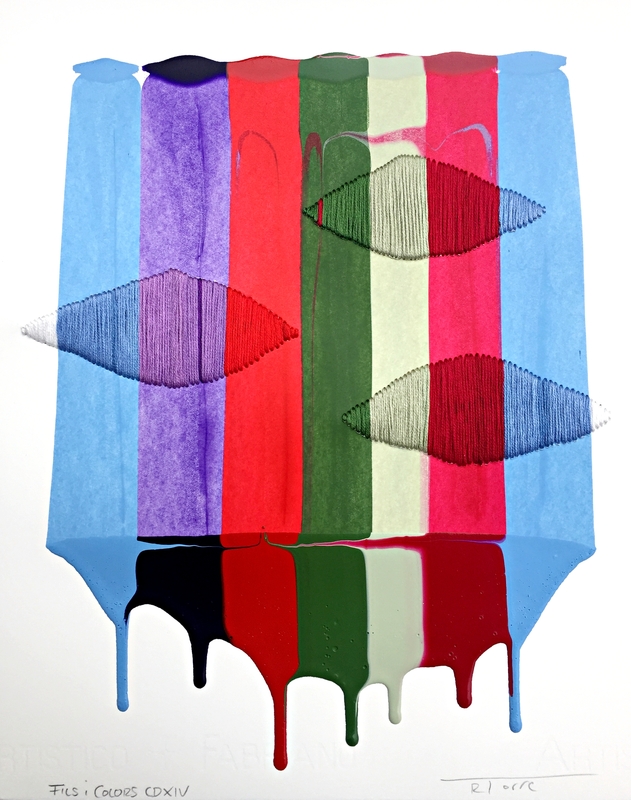 His works in the last four years cover numerous themes by different materials, textures and techniques. Through these experimentations, he has pursued his portrayal of different aspects he encountered in different locations. 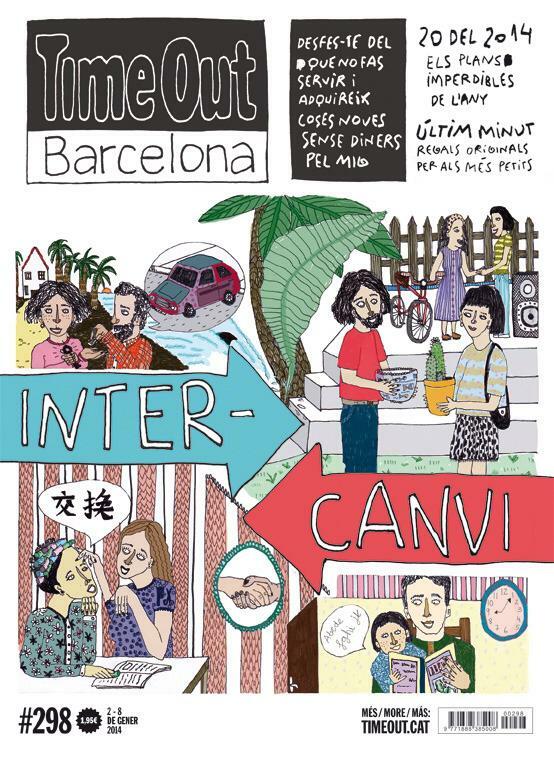 He recognizes the unique aspects of different urban life styles and social existence and to mold those unique urban chaos in reduced physical spaces of his own. 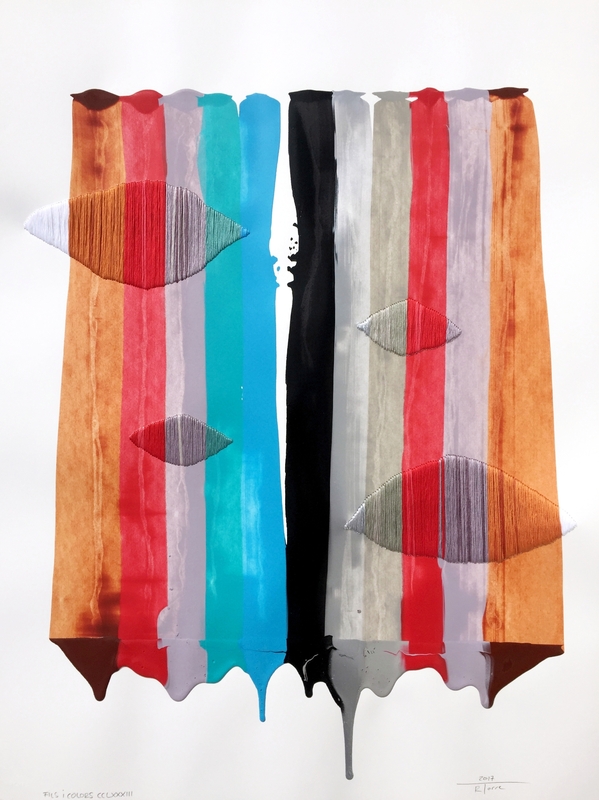 *Los Angeles Art Association (LAAA) and the City of West Hollywood are proud to announce the fifth annual Out There exhibition celebrating the LGBT experience during West Hollywood's Pride Month festivities. This effort commemorates West Hollywood's lasting commitment to raising public awareness and appreciation of the talents and abilities of all artists. 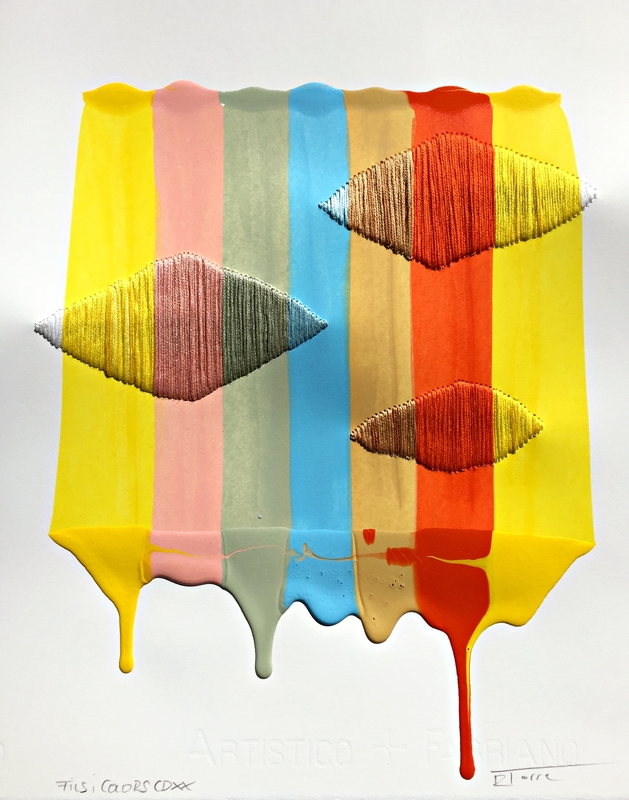 The Out There exhibition, opening at Gallery 825 on June 8, is an all-media exhibition that celebrates and acknowledges the special opportunities that West Hollywood provides for creative individuals. Out There is made possible by the City of West Hollywood. Ruben Acosta, Gary Frederick Brown, J.T. Burke, Jarred Cairns, Ellen Cantor, Joanne Chase-Mattillo, Michael Chearney, Nicholas Coroneos, Yu Cotton-Well, Adrienne Davis, Jolly de Guzman, Jose L. De Juan, Raul De La Torre, Wanda Decca, Jack Dorlan, Lore Eckelberry, Hadiya Finley, Helane Freeman, Dwora Fried, Norbert Garcia, Michael Giliberti, Teale Hatheway, Eileen Hespen, Kirk Kain, Motoko Kamada, Jim Keville, Linda Kunik, Teresa Lakier, Echo Lew, Gray Malin, Mary Grace McKernan, Daniel Monteavaro, Andy Moses, Marin Murakoshi, Michael Ochinero, Mei Xian Qiu, Burton Rein, Rachael Rendon, Karrie Ross, Dennis Ruble, Linda Jo Russell, Susan Sanchez, Heather Scholl, Cory Sewelson, Sharron Shayne, Rena Small, Ashleigh Sumner, Hui Tan, Phil Tarley, Joseph Terrill, Vincent Tomczyk, Tim Townsley, Ariel Vargassal, Frank Ventrola, Cathy Weiss, Davyd Whaley, Karen Frimkess Wolff and Joan Wulf. 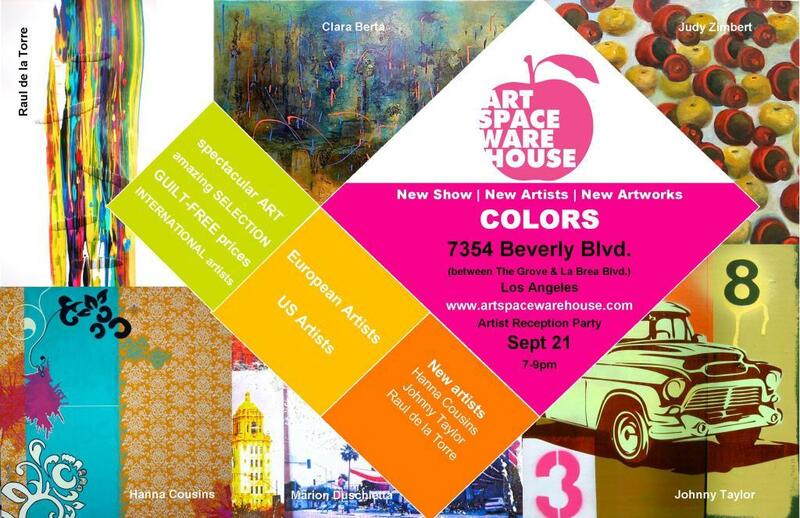 New Art Exhibition Layered Works Opening June 2, 2012 at Artspace Warehouse Los Angeles With An Artist Reception 5-8pm. Complexity and synthesis is built up out of visual and material elements that work perfectly, layered one over the other. 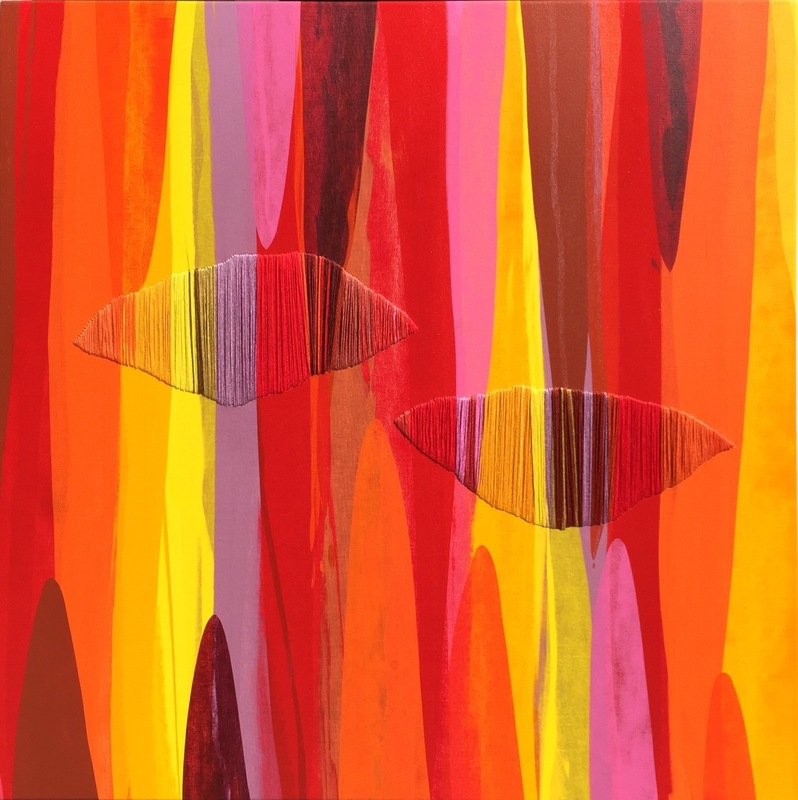 The featured artists approach the layering of imagery or materials on their artworks in diverse ways yet include similar relationships of energy, thought and reflection. 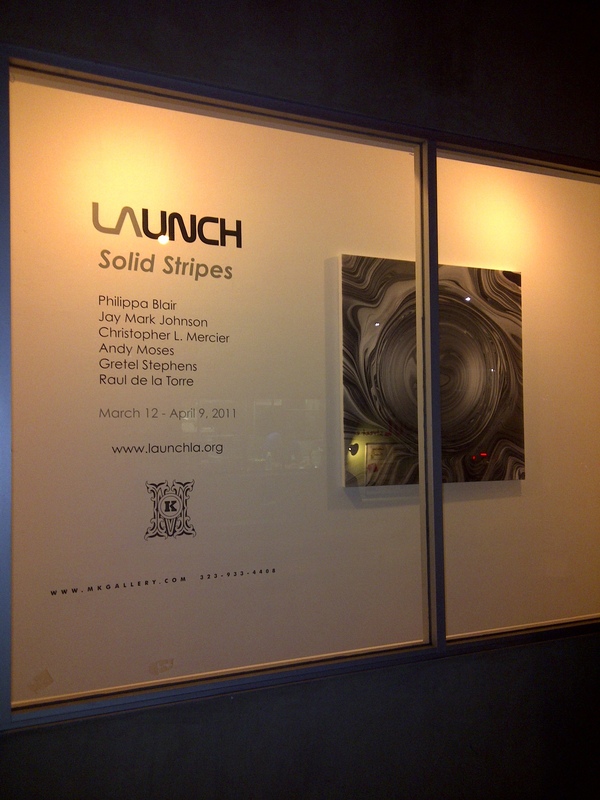 also featuring work from: Raul de la Torre, Daniel Brice. May 26 June 20. 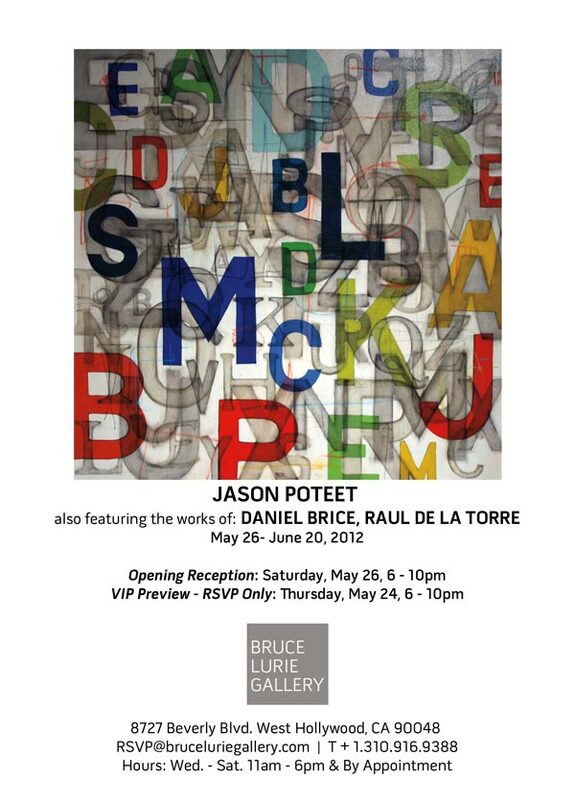 Opening reception Saturday May 26, 6-10 pm. 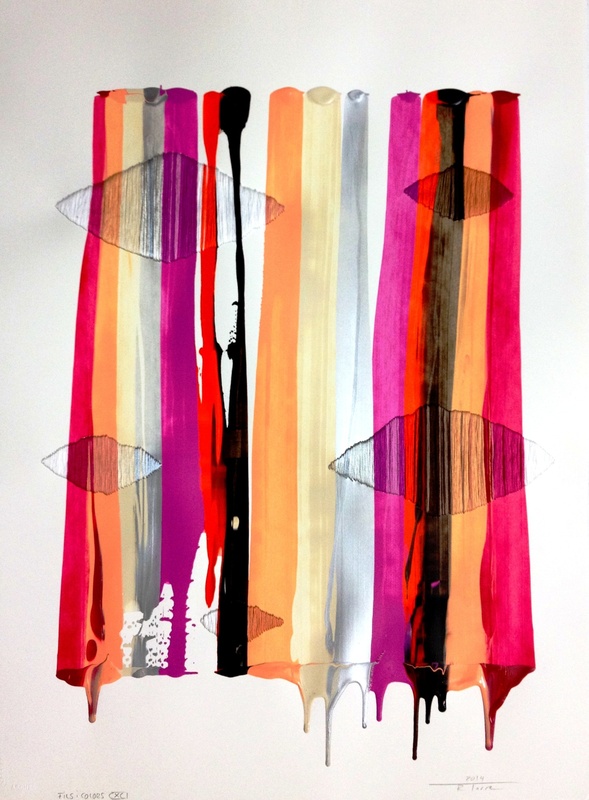 Juried by Gemini G.E.L's Michele Urton, Opens on Saturday January 14th. Allison Lacher, Lynnette Miranda, Raul de laTorre, Ike Floor, Liz McCarthy, Salvador Domiguez, Anni Holm, Kate Hampel, Jackie Orozco, Lori Endo, Jennifer Hines, Ray Arroyo, Vanessa Sanchez, Charity White, Mikey Anderson. 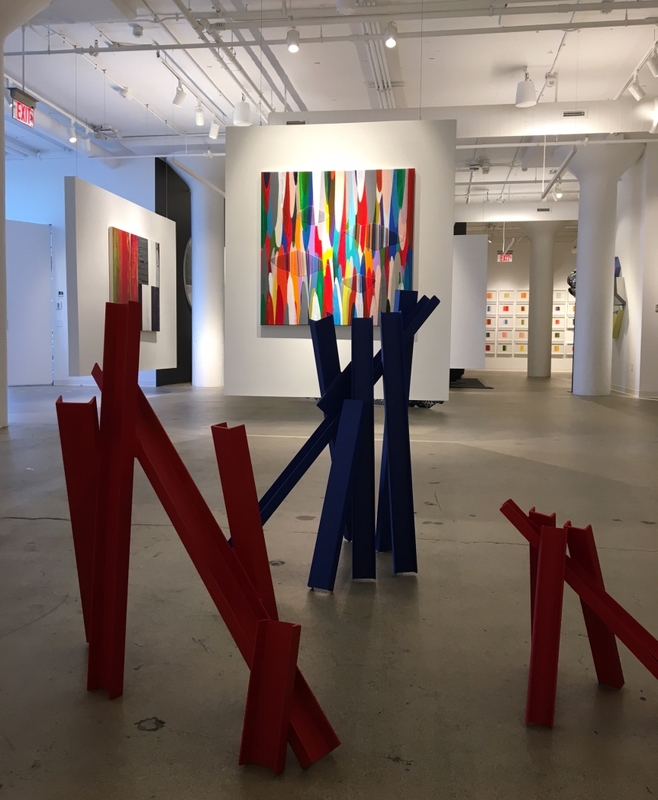 The assembled artists all use stripes and layers as formal constructs, but each has found a way to transform this staple of abstraction into genuinely expressive, individually poignant, and even quasi-narrative works of affecting beauty. 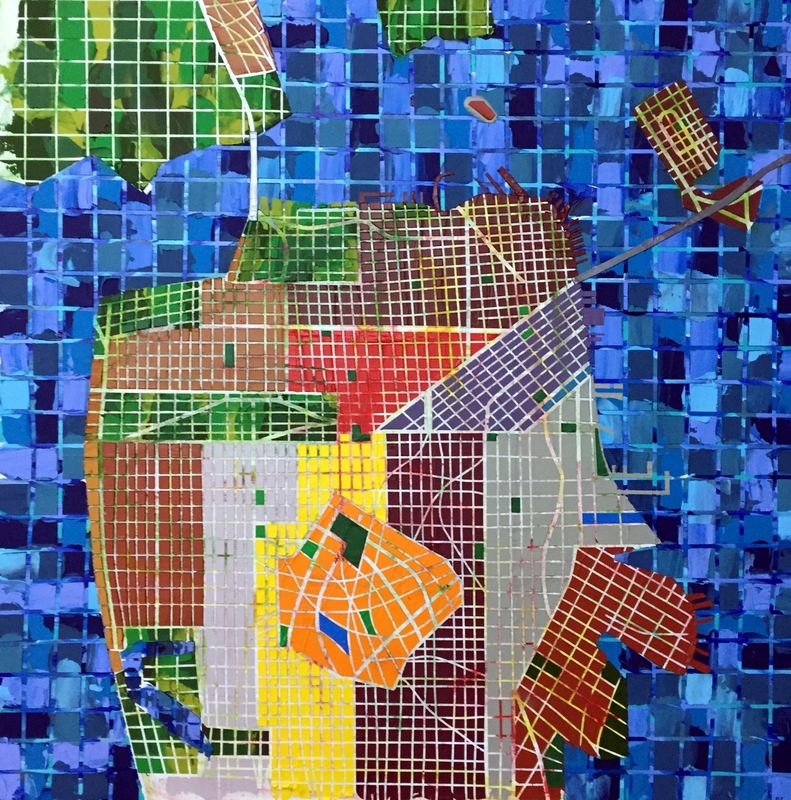 Among them are those engaged with the current of life in a city, those finding their inspiration away from the man-made environment, and those who seduce the pattern-finding impulse in the mind of the viewer. 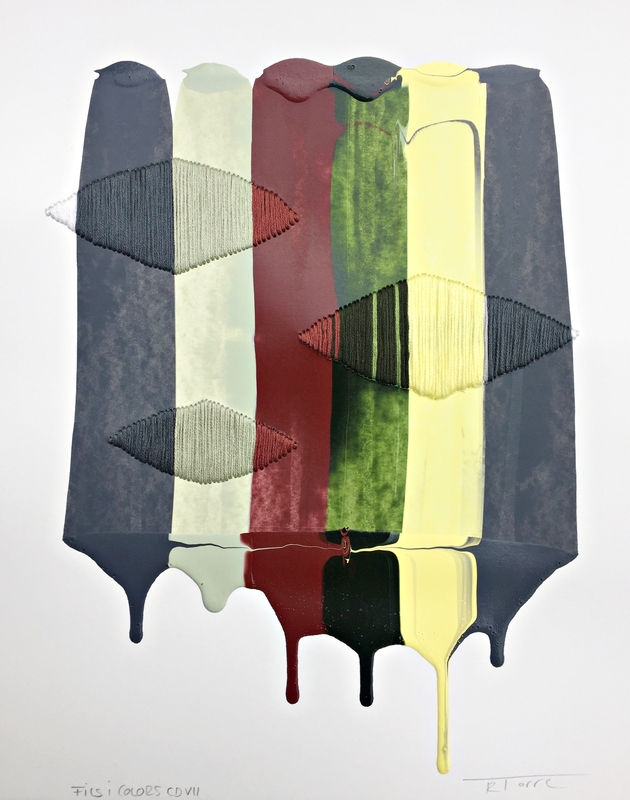 The show presents works of heavy, gestural pigmentation; the cool regard of photographic science; the topographical layers of mixed media collage; and instances where evidence of the artist's hand has been obscured. Above all, it demonstrates just how salient, resilient, malleable and, so to speak, solid the stripe can be when represents everything from a street, to a cresting wave, an emotion, or even an idea. Nature is a fecund realm of astonishing power and chaotic harmony, where a prismatic array of simultaneous phenomena self-choreographs each moment of existence. Though sometimes cruel and destructive, the natural world is also a place of simple beauty and awe-inspiring splendor. Cities are bustling places that offer alternately vibrant, dangerous, crowded, lonely, sublime, terrifying, inspiring, haunted, architectural, energetic, intellectual, and violent experiences. Both city and nature are archives of interlocking histories; multidimensional, ever-changing networks of generations that continually replace, displace, and build upon one another, like the soil and stone in the strata of the Earth beneath our streets. Moving between these layers of Life and lives is man who among his faculties are counted both the gift and the drive to try and sort all this out. 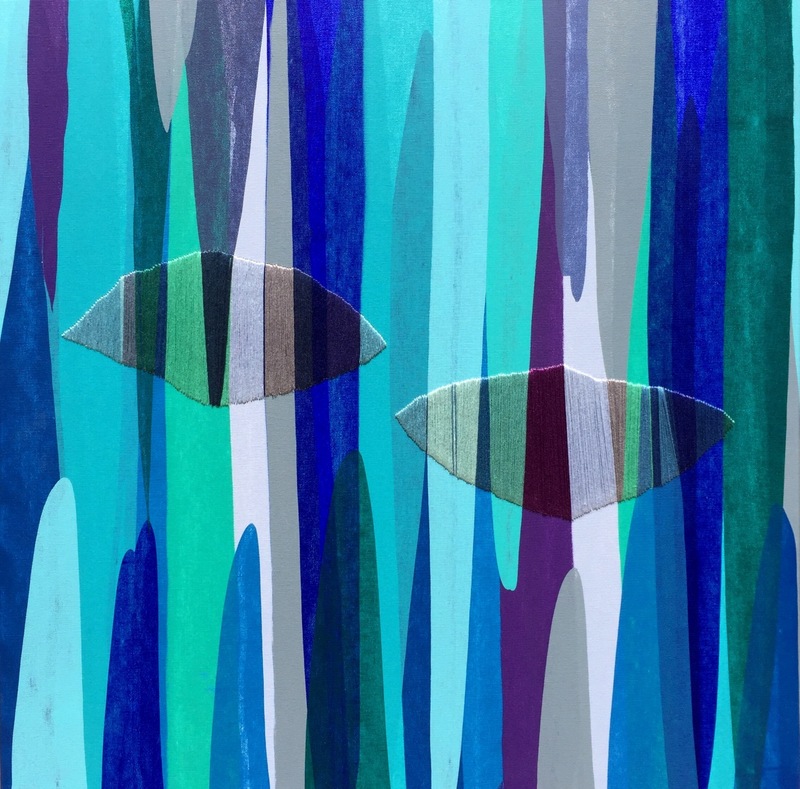 Andy Moses generates a new visual language, using the forces and rhythms of gravity instead of brushes to create ambiguously evocative non-landscapes. Jay Mark Johnson's hi-tech photographs reverse the usual roles of movement and solidity, capturing unmediated images of the outside world that are as much brain science as they are document. Philippa Blair uses a fair variety of techniques, the better to encapsulate something essential about the meandering way a city shudders into being over centuries, and what it is like to navigate that in real life. Painter Christopher L. Mercier organizes images and spaces in a way that resolves the age-old battle between line and color, using masses of paint to conflate the x, y, and z axes in playful, unsettling tableaux. 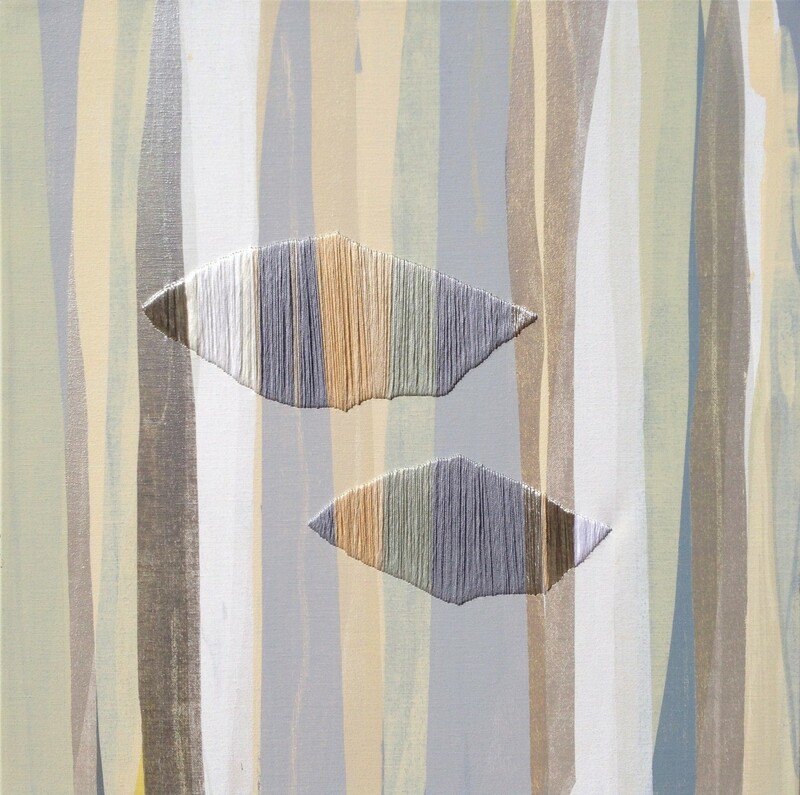 Gretel Stephens seems to turn line on its head, forcing paint into flattened, luminous cross-sections like halos or single rings of a tree. 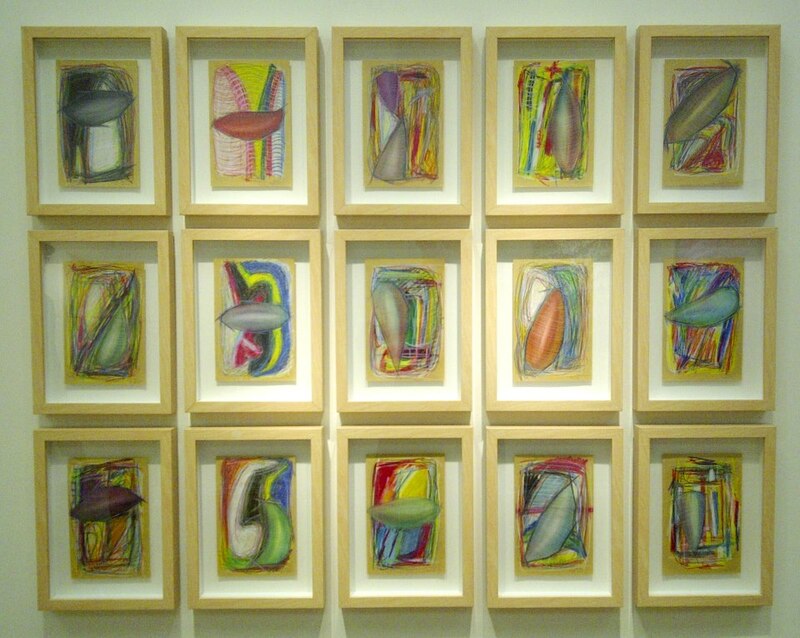 Raul de la Torre is perhaps the most ebullient of the bunch, compressing linear splashes of latitude and longitude into colorful gestures that speak to the accumulation of memories.